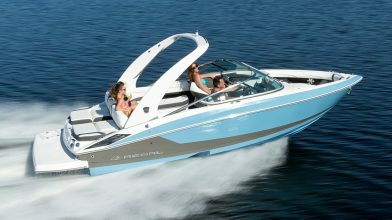 We are dreaming with you. 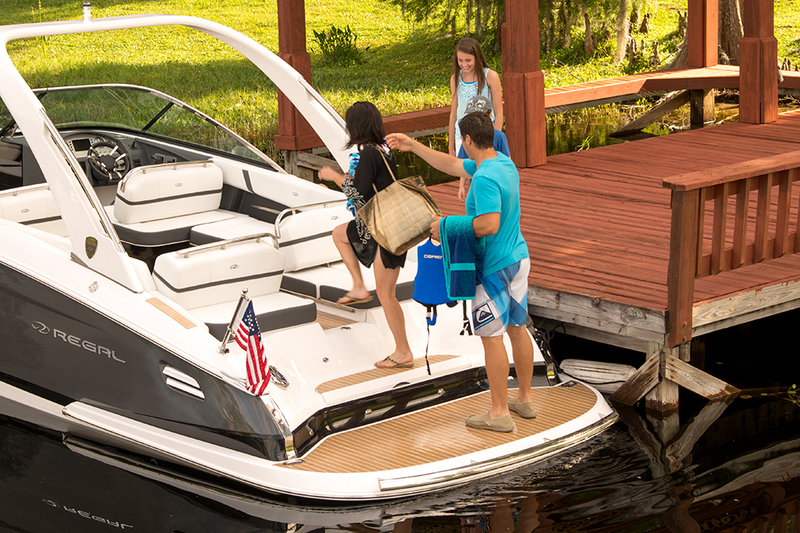 Make a statement on the water. 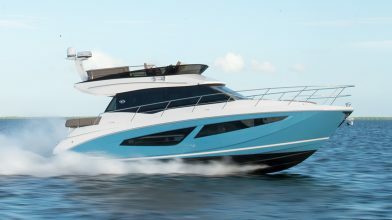 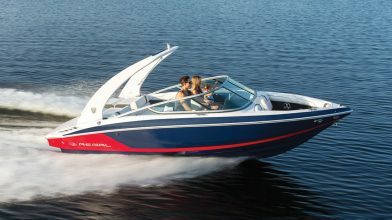 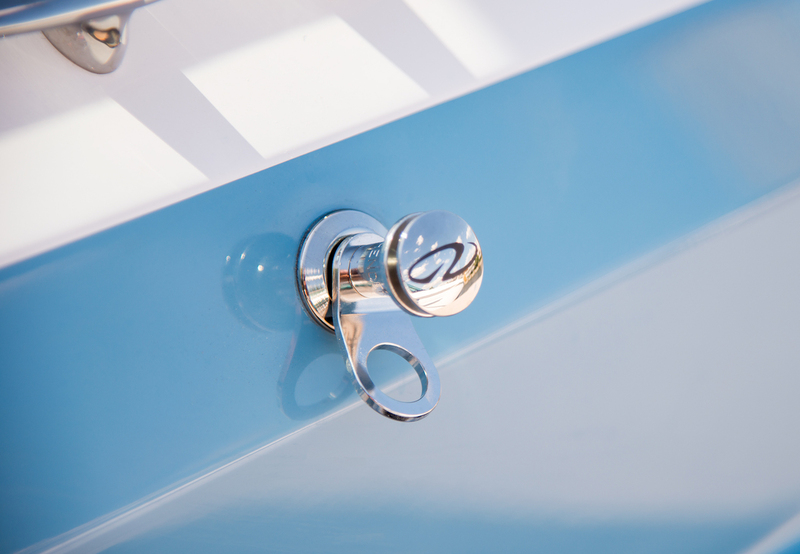 The 29 OBX shown in a Classic Tahiti Beach hull with in-mold Mediterranean Blue bootstripe. 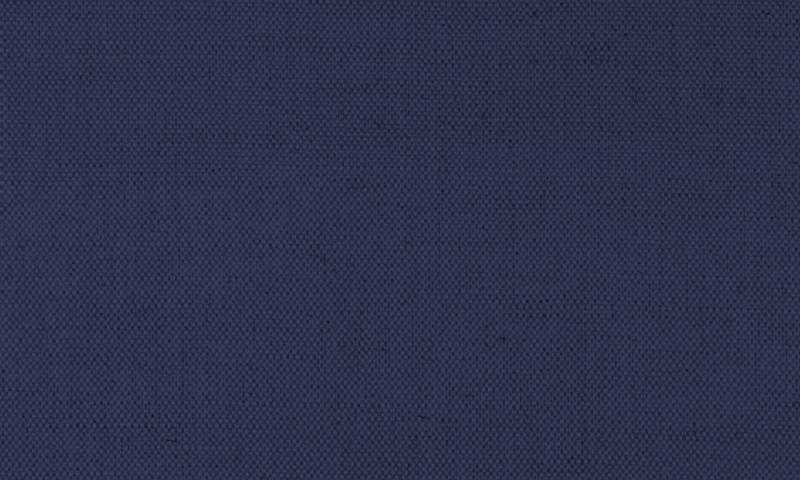 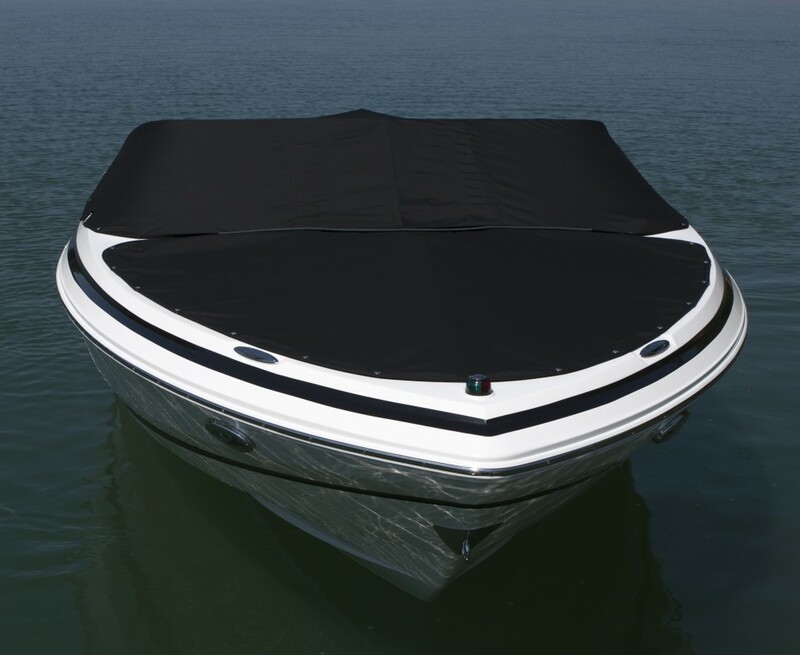 The hardtop on the 29 OBX achieves optimism versatility with style. 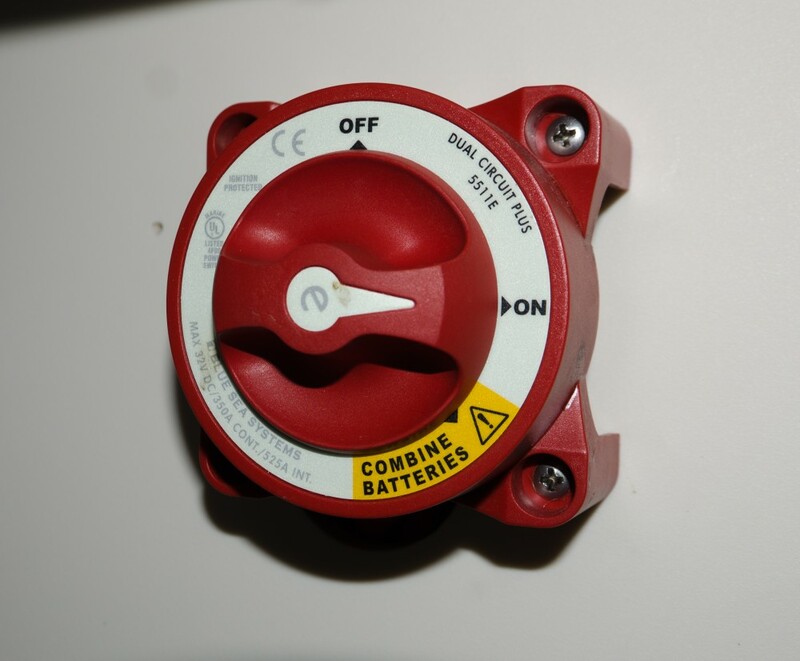 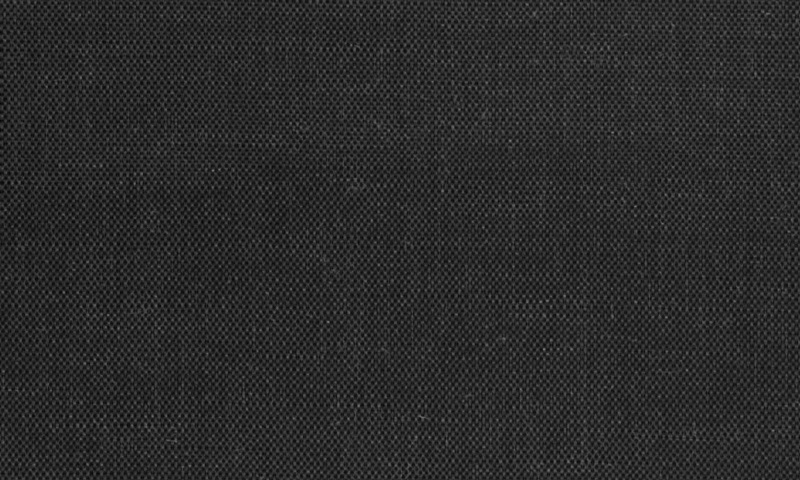 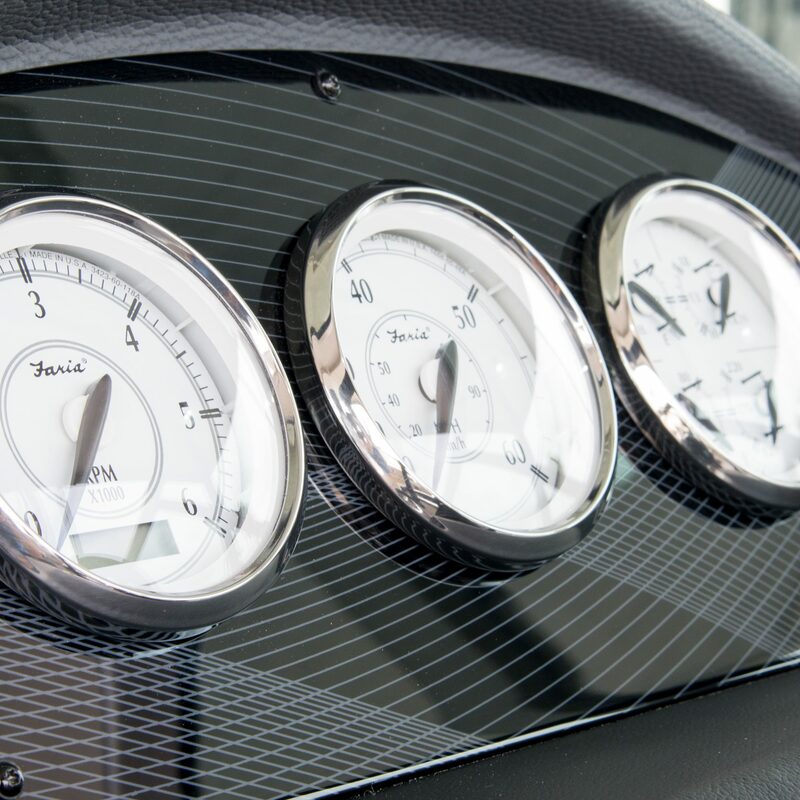 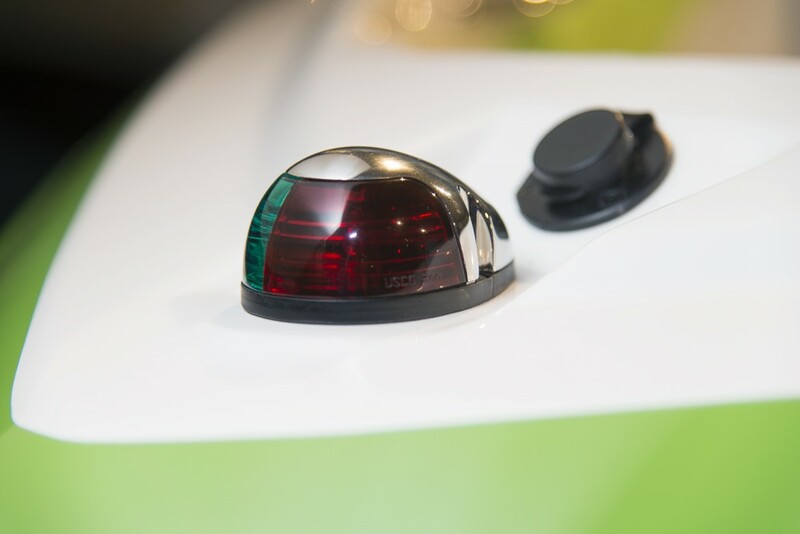 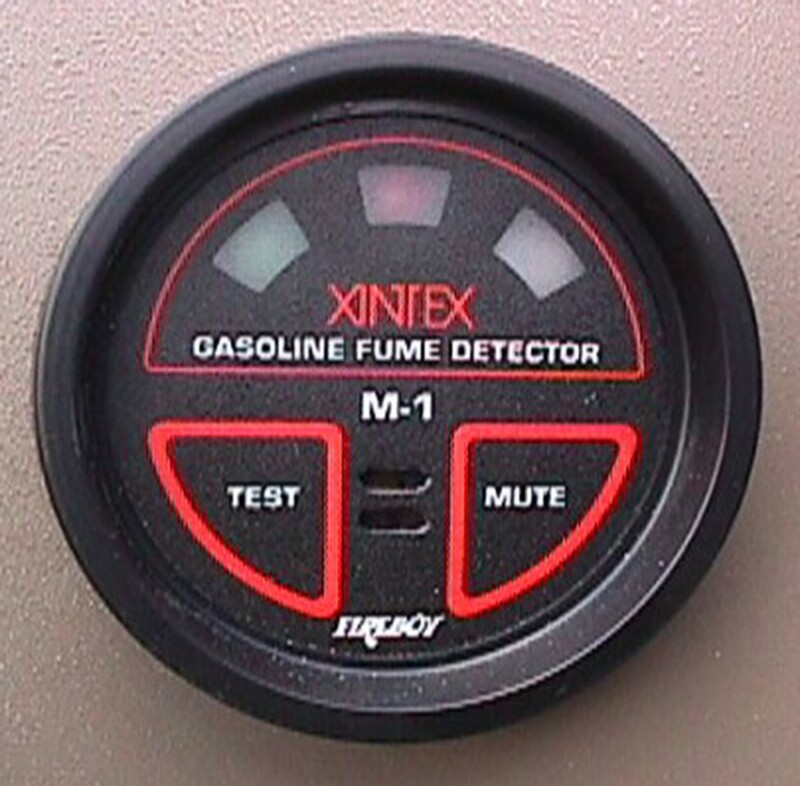 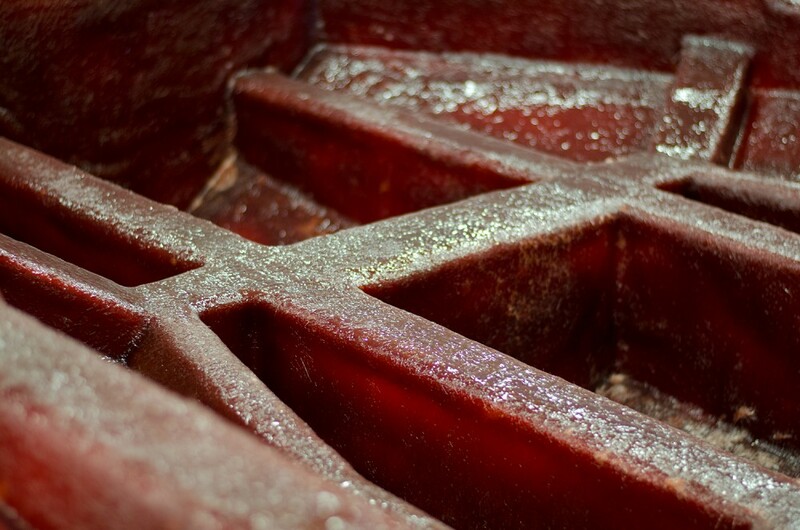 The trim tab indicator allows you to be precise. 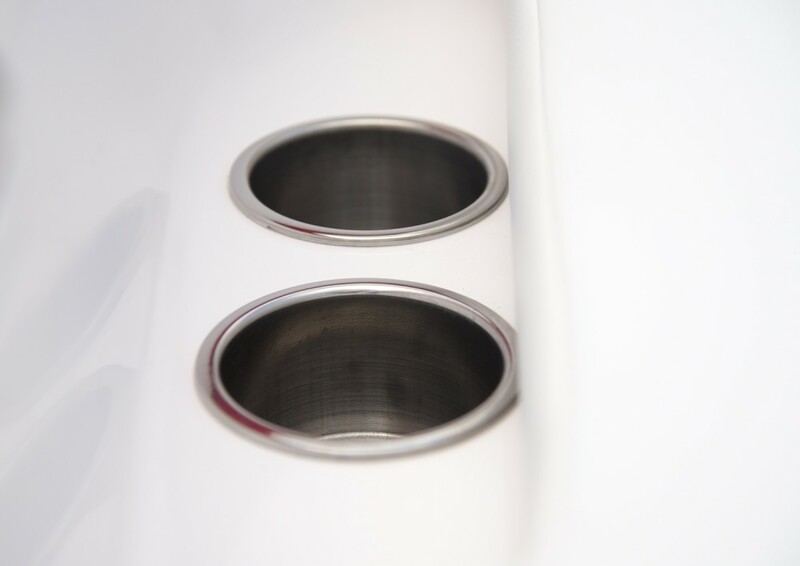 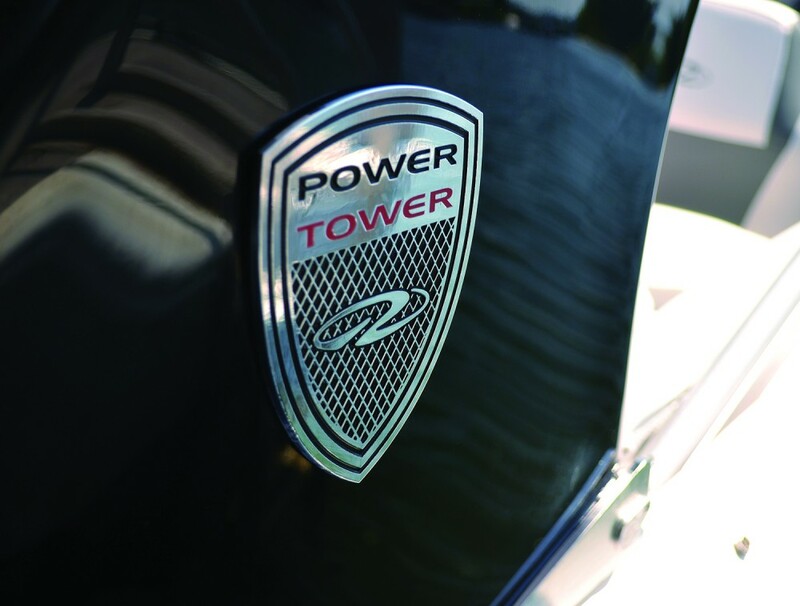 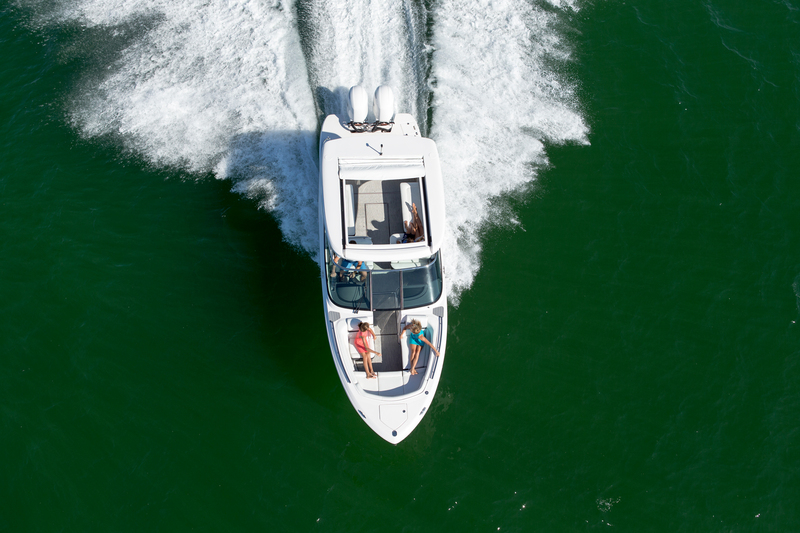 Elevate your style with white painted engines. 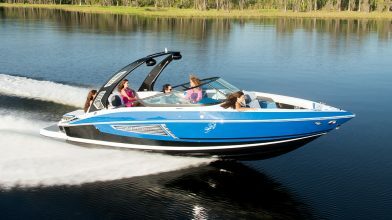 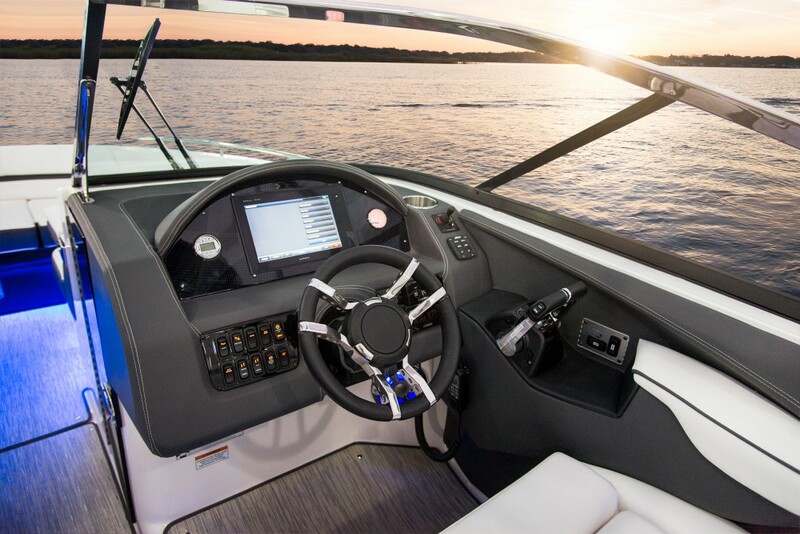 Battery Charger, power seat, lighting package, underwater lights, docking lights, and the stereo performance package. 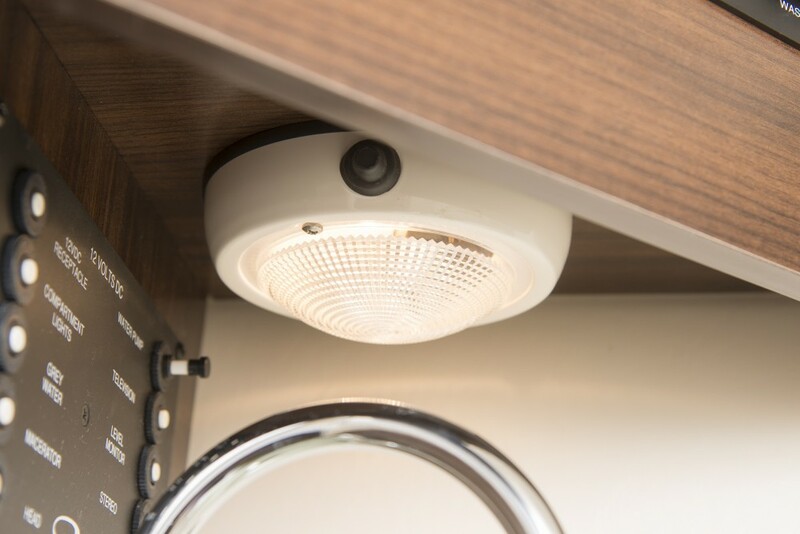 A little extra light while under the deck. 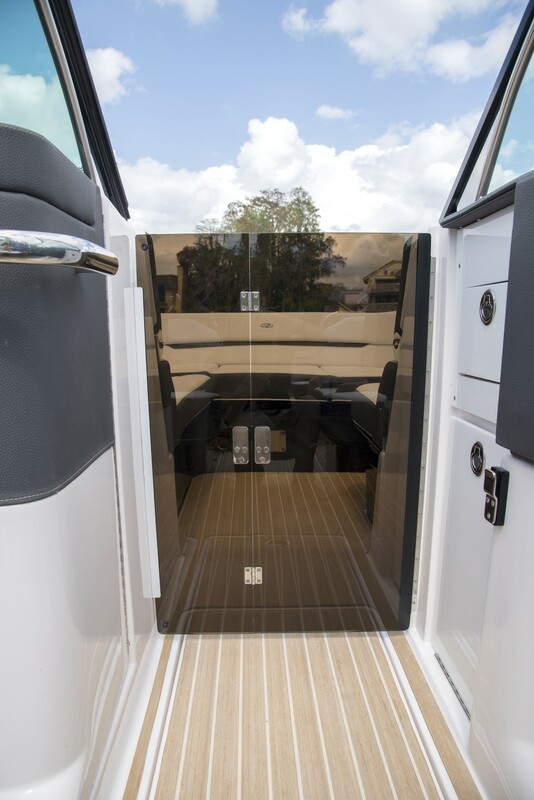 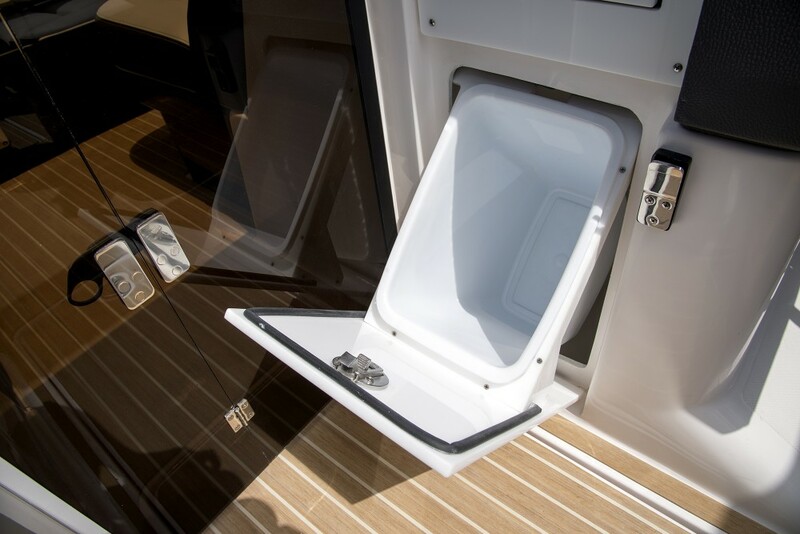 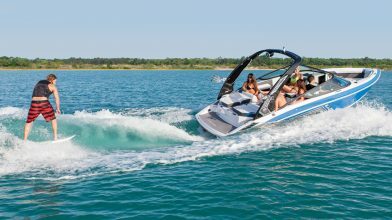 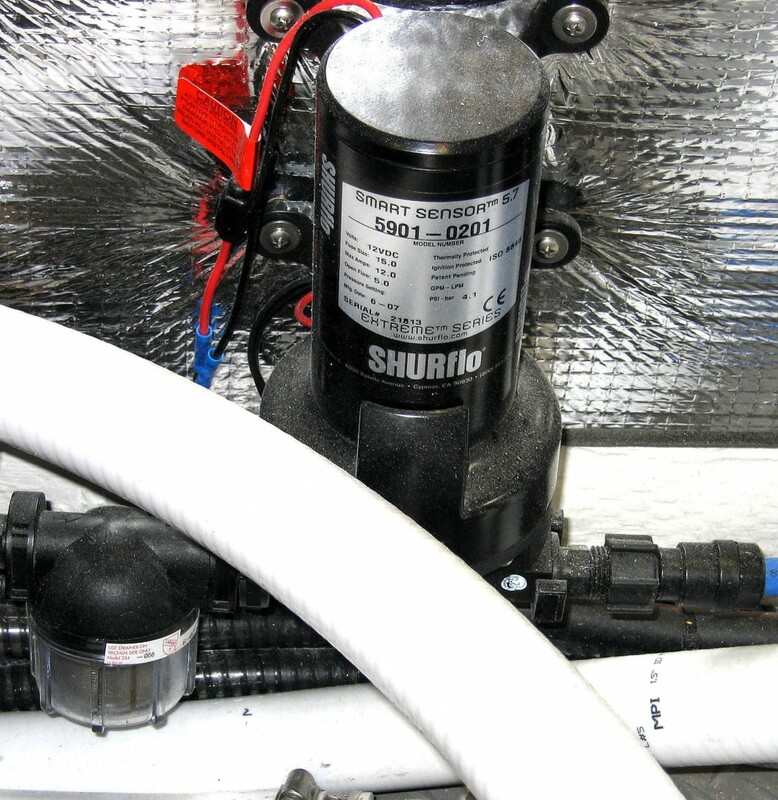 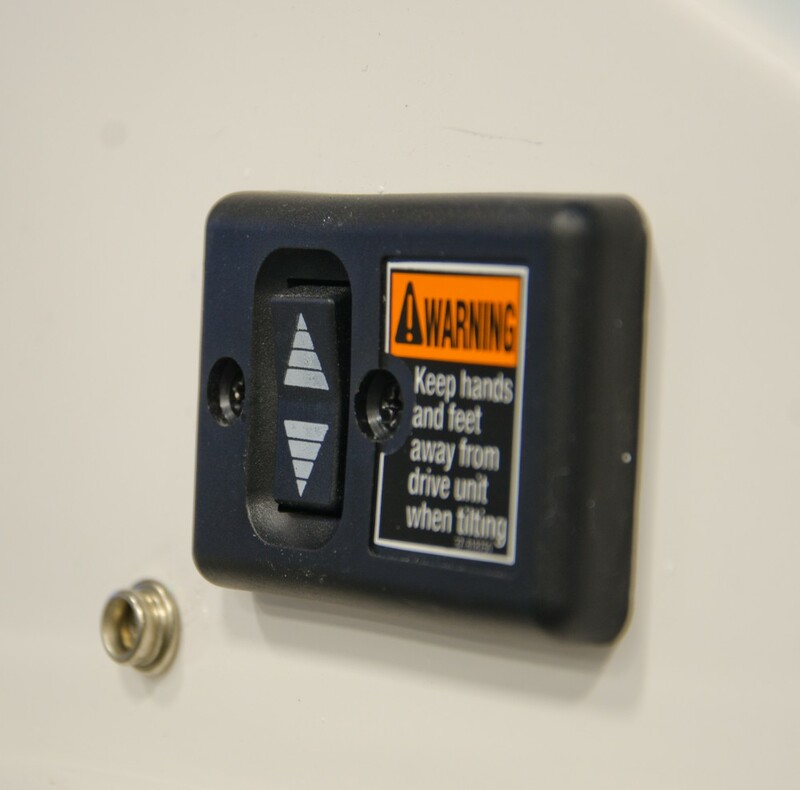 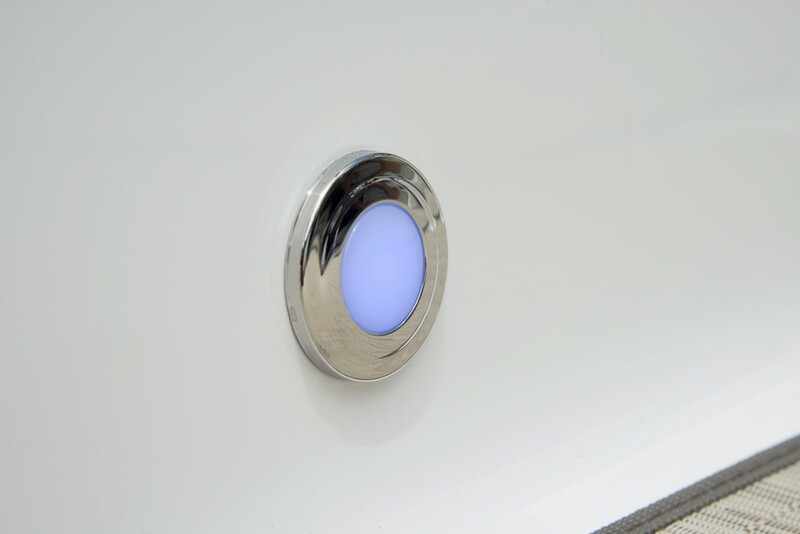 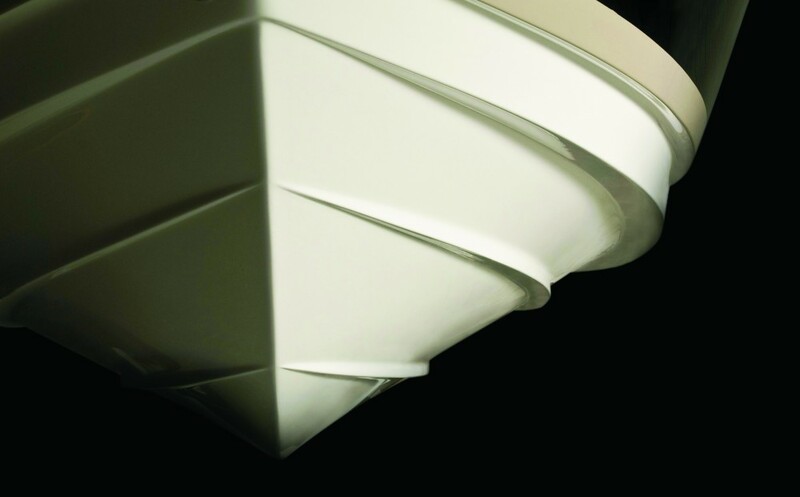 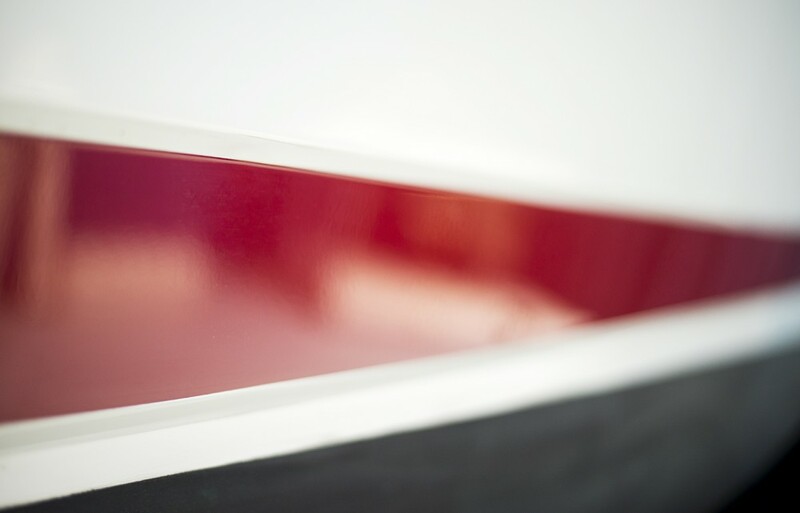 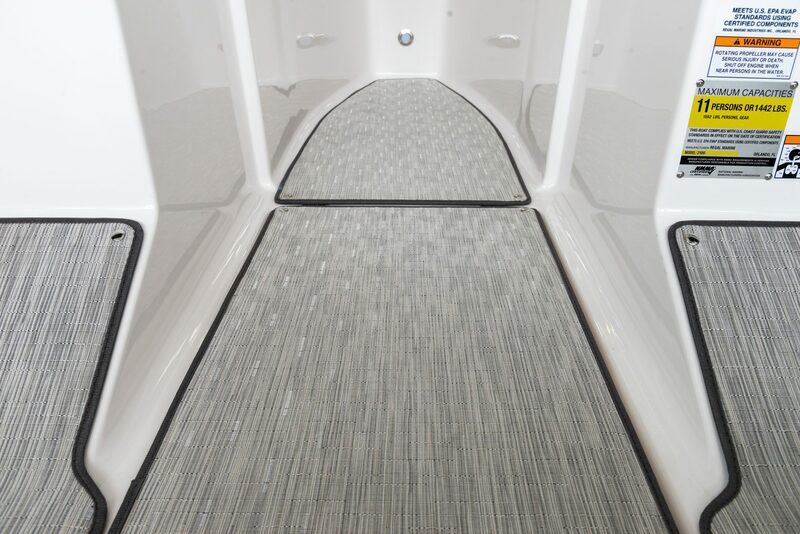 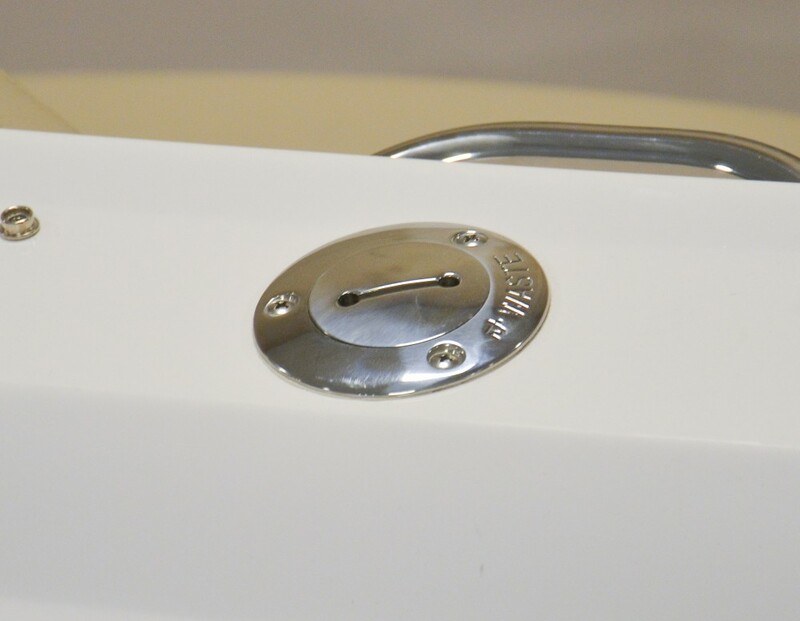 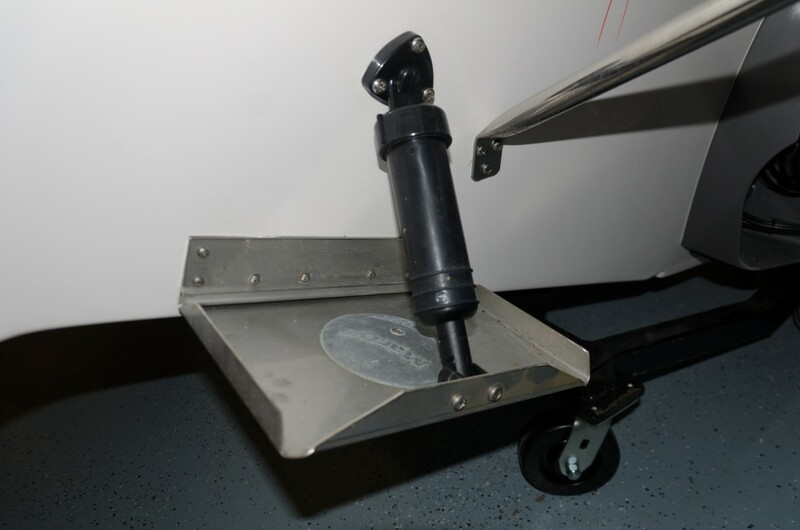 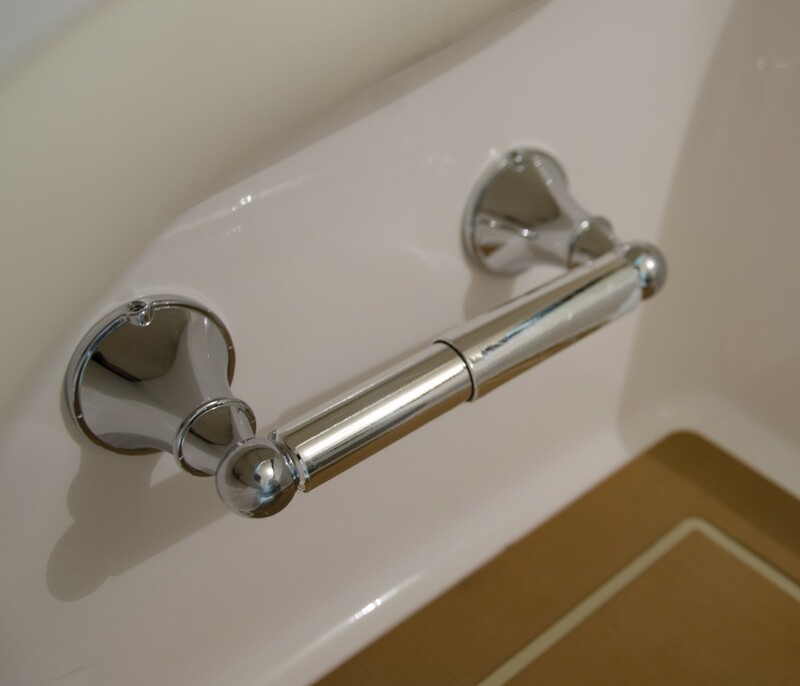 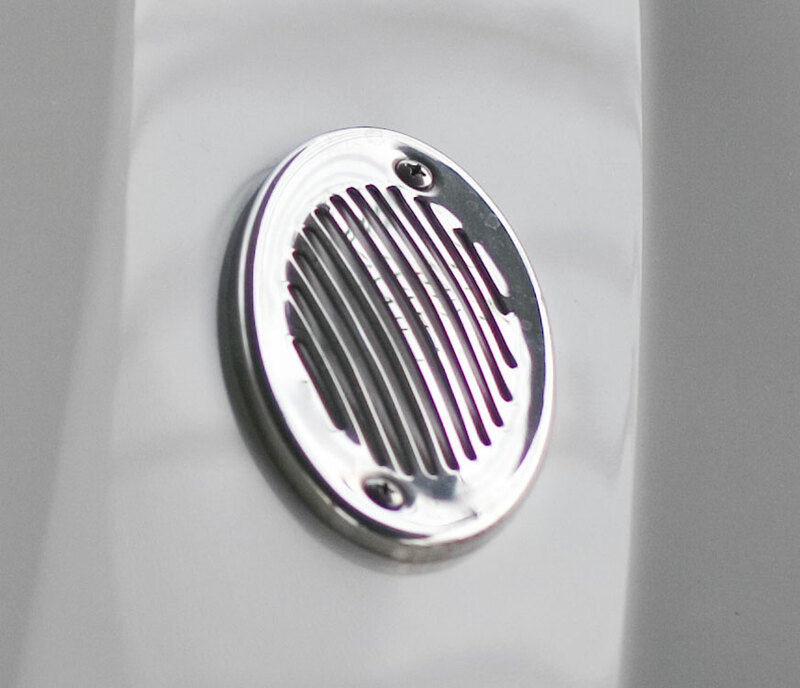 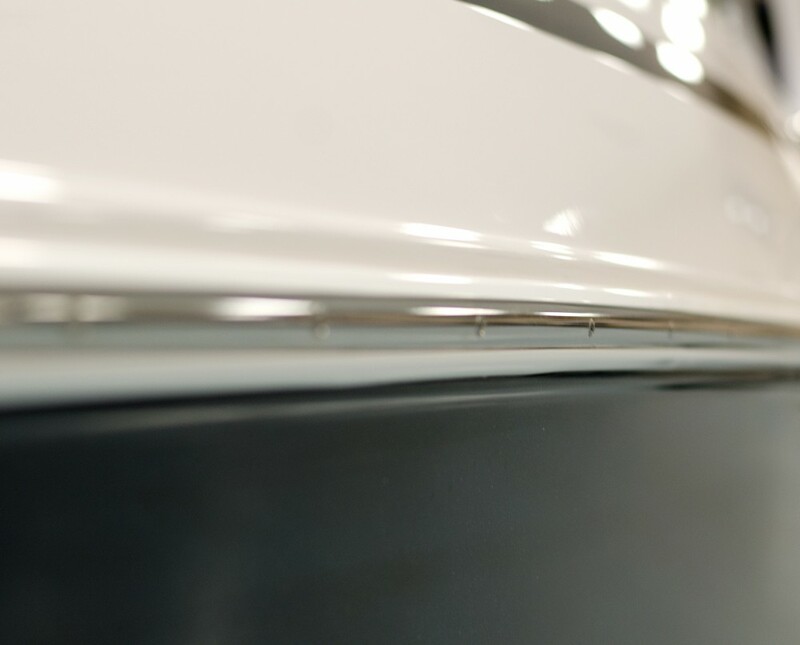 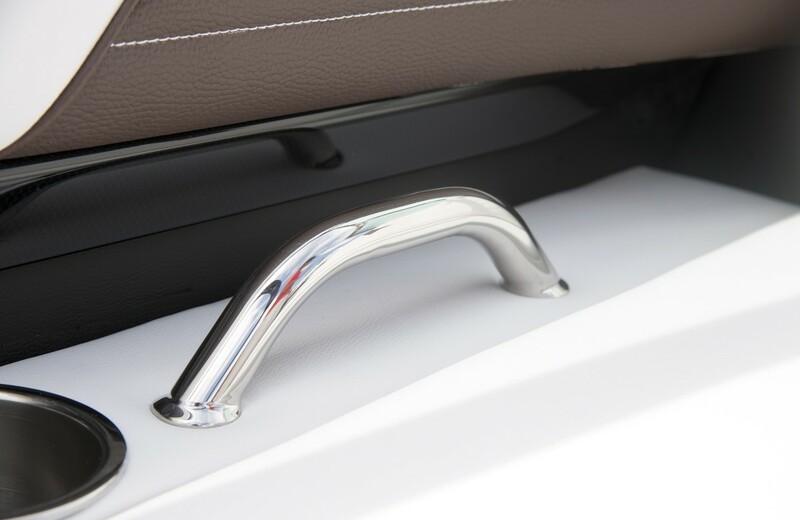 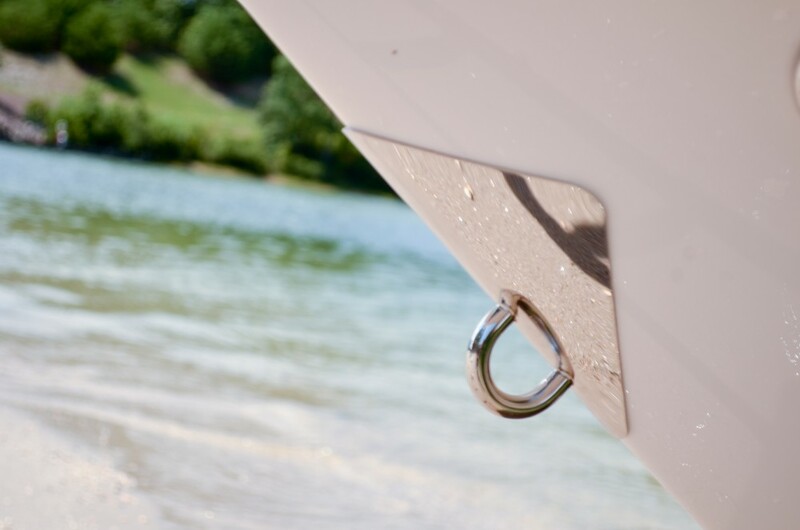 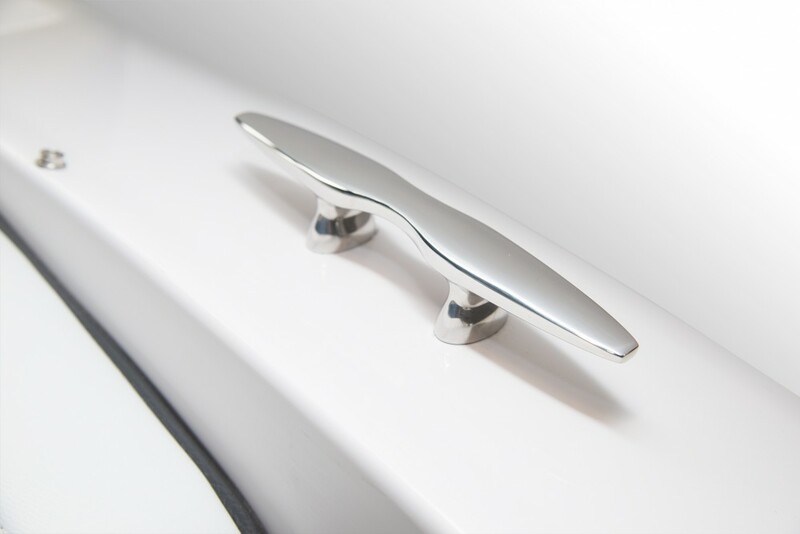 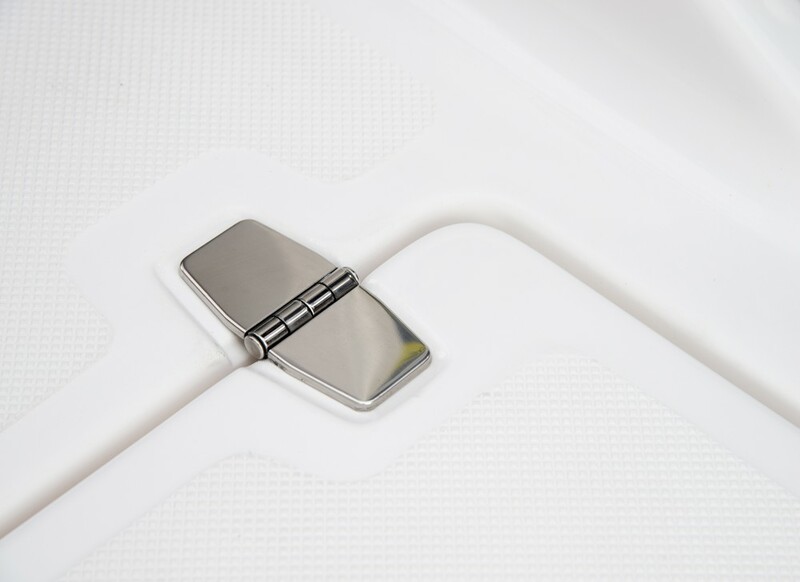 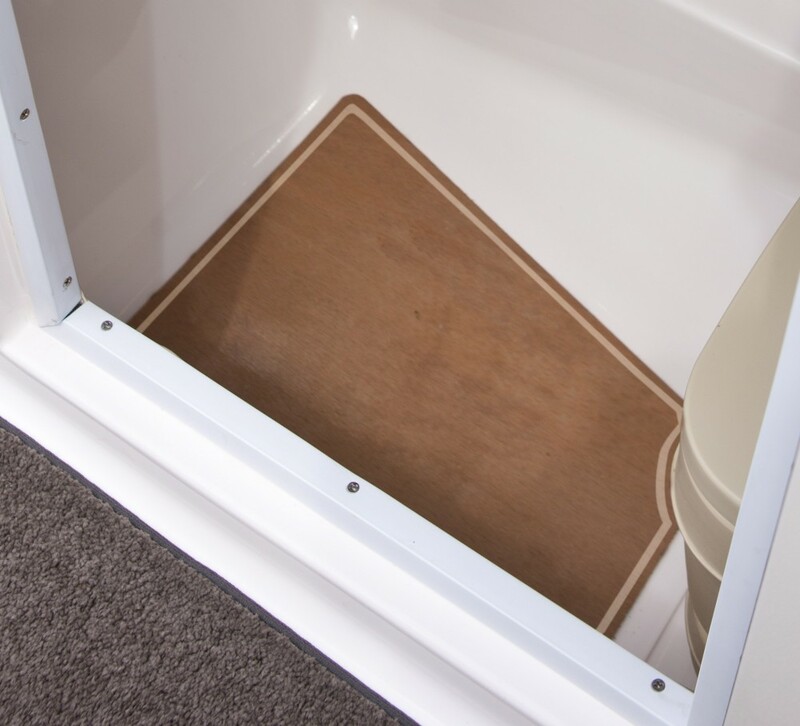 Enjoy extra shade off the transom on a hot day at the simple push of a button. 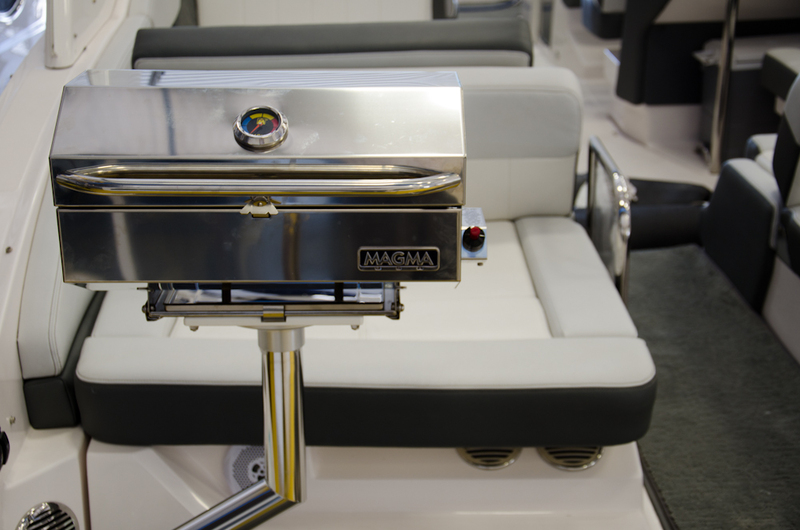 Entertain guests well while on the water. 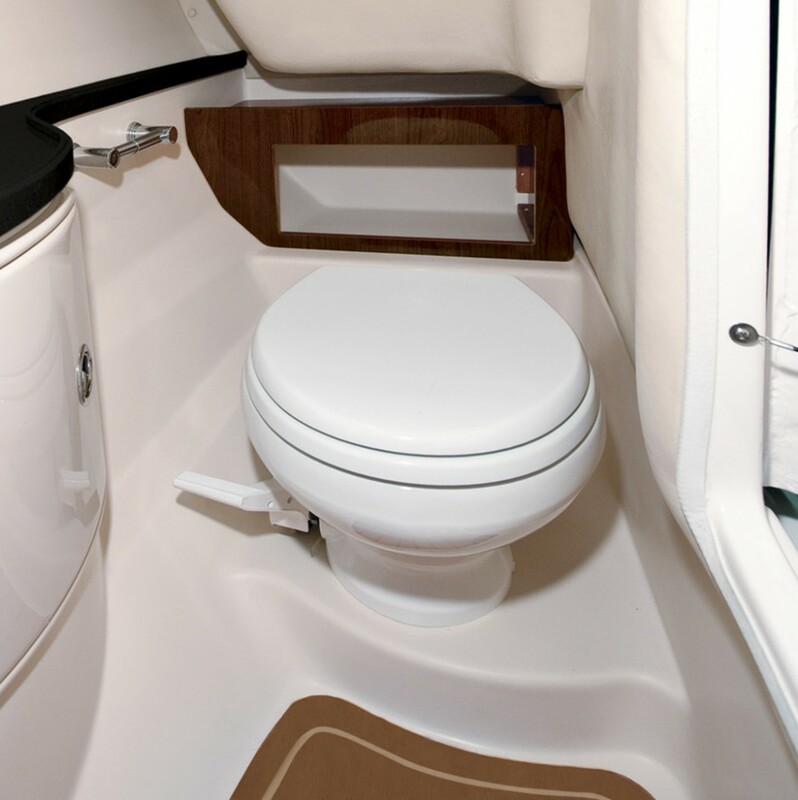 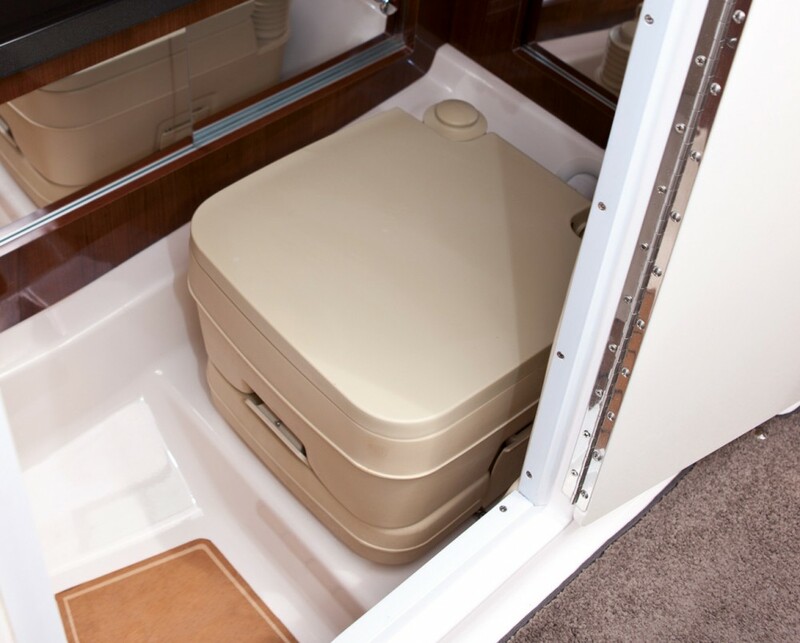 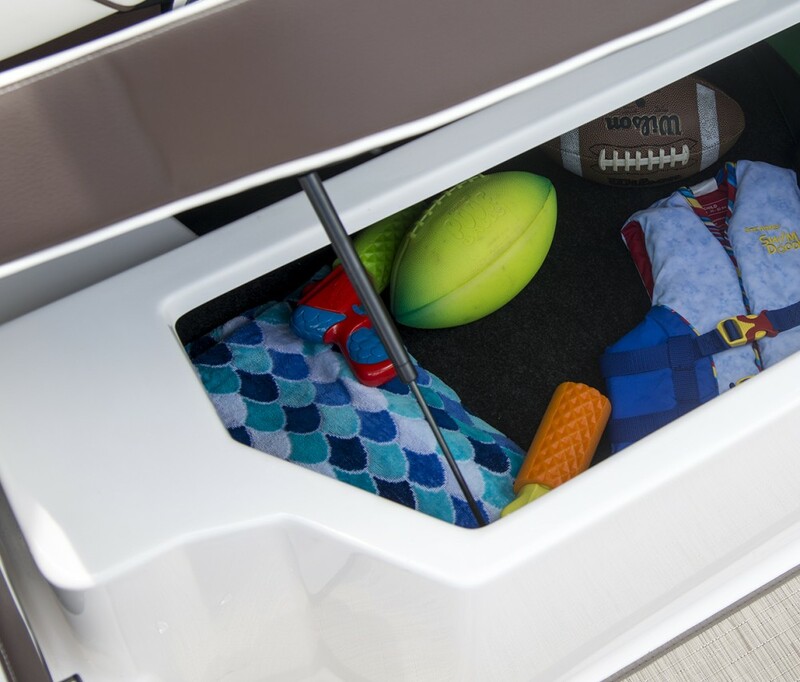 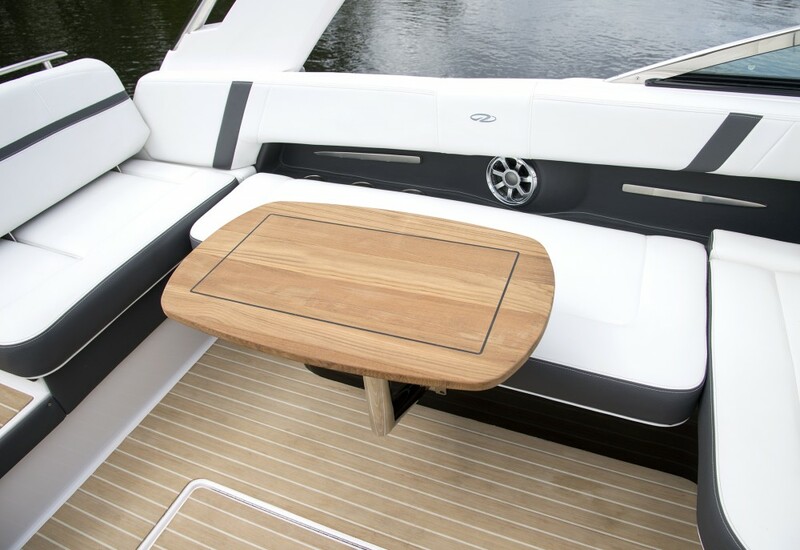 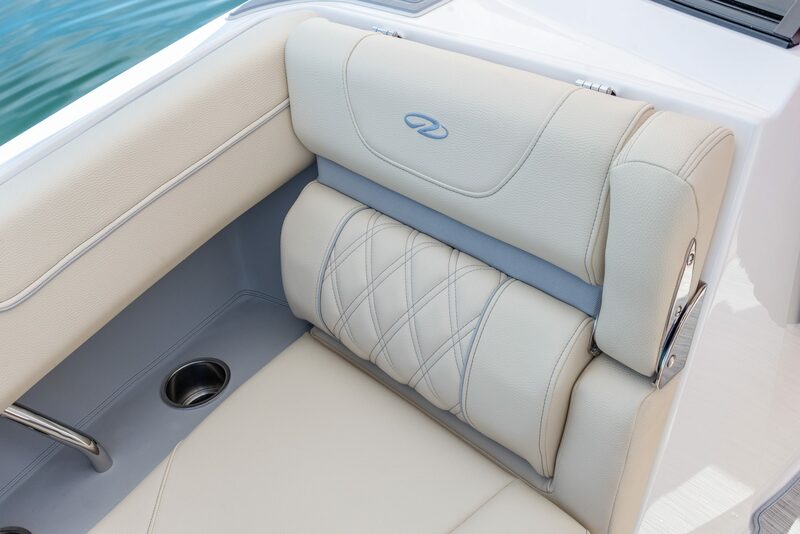 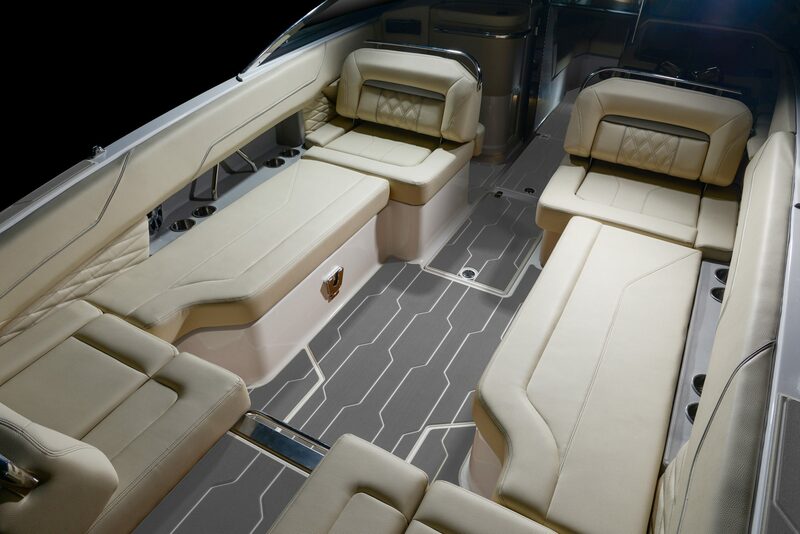 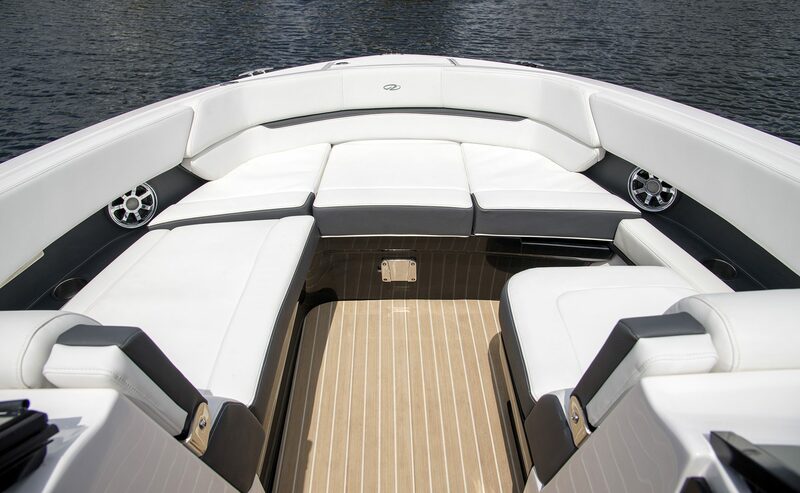 The Premium Package includes a bow filler cushion, cockpit table, and storage mats. 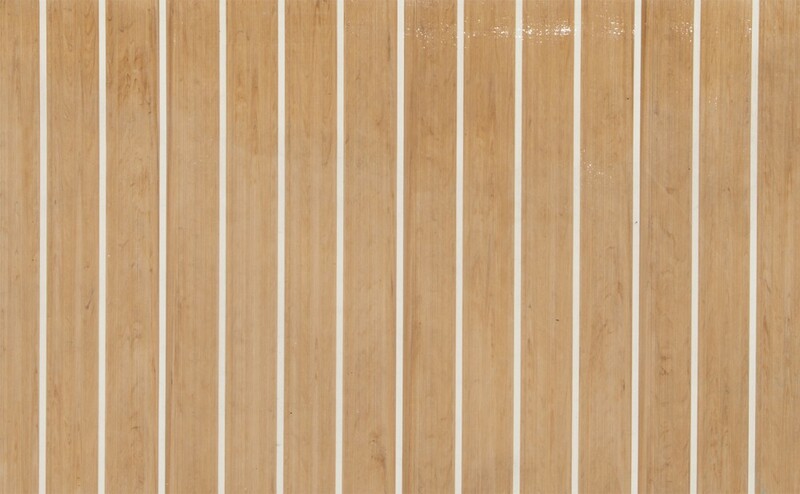 Enjoy your beautiful deck instead of worrying about maintenance and leakage. 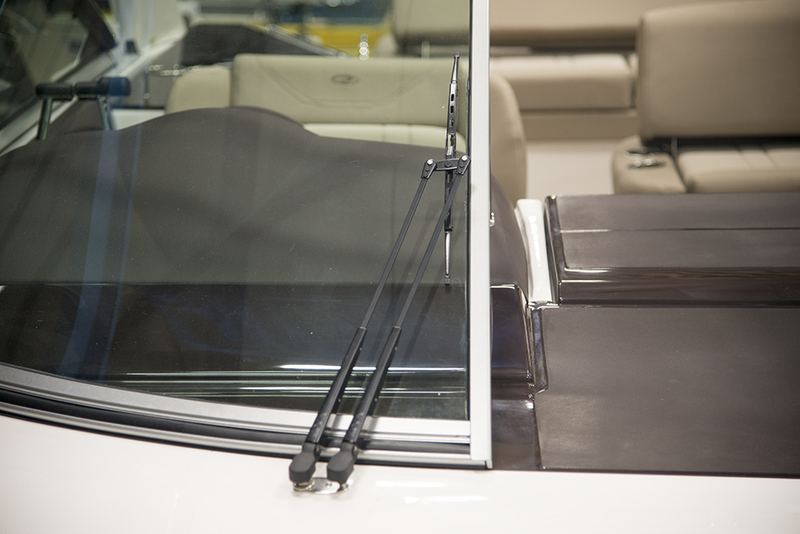 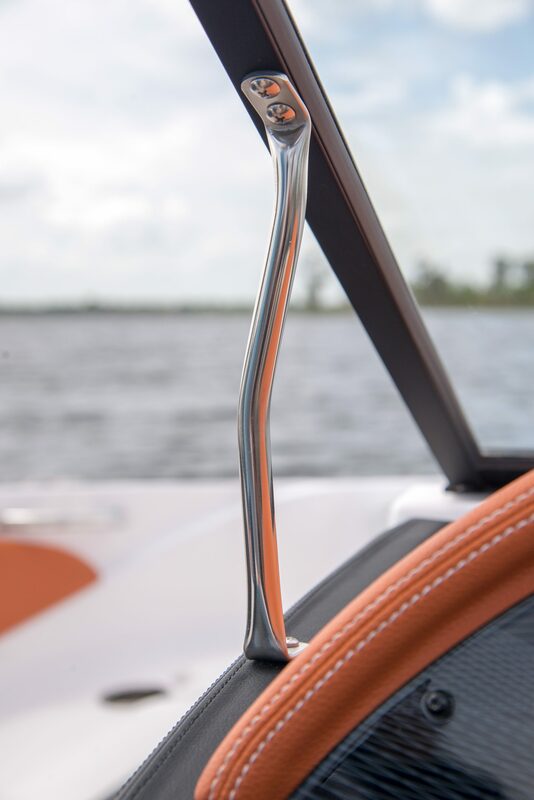 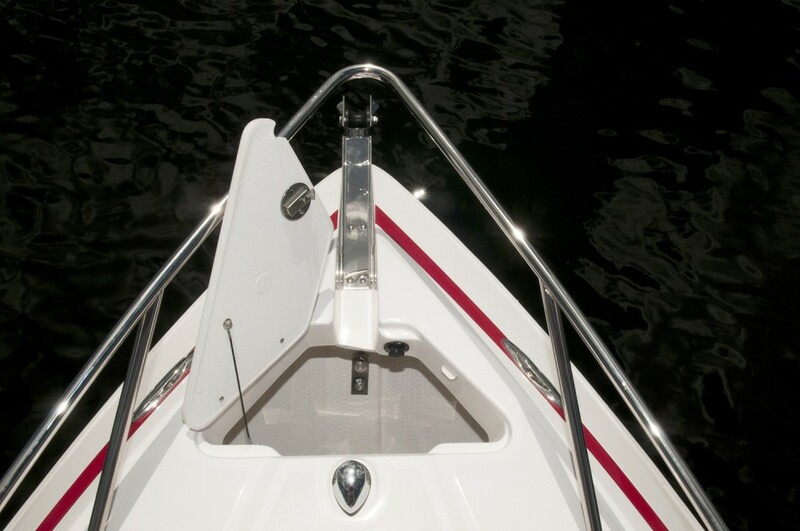 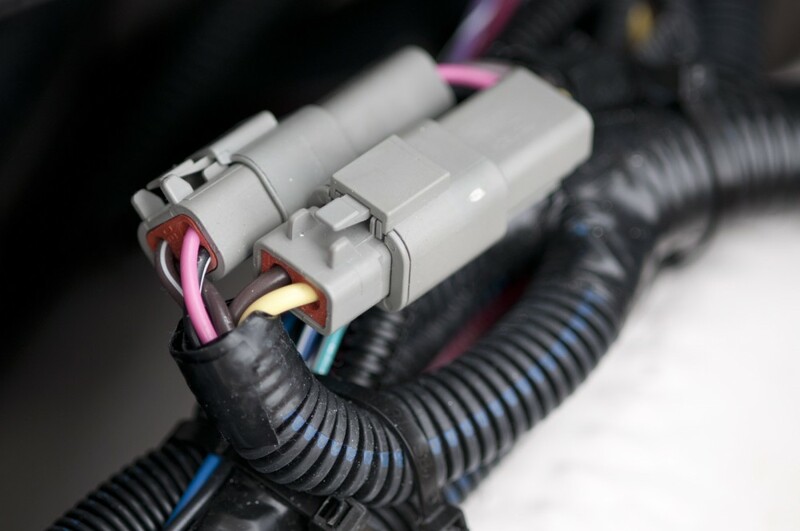 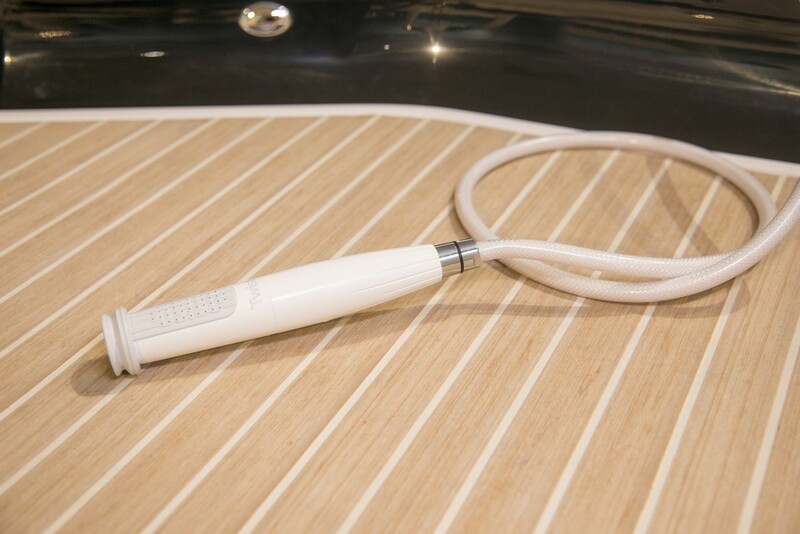 If you're looking to boat in rainy weather then the windshield wiper is a must. 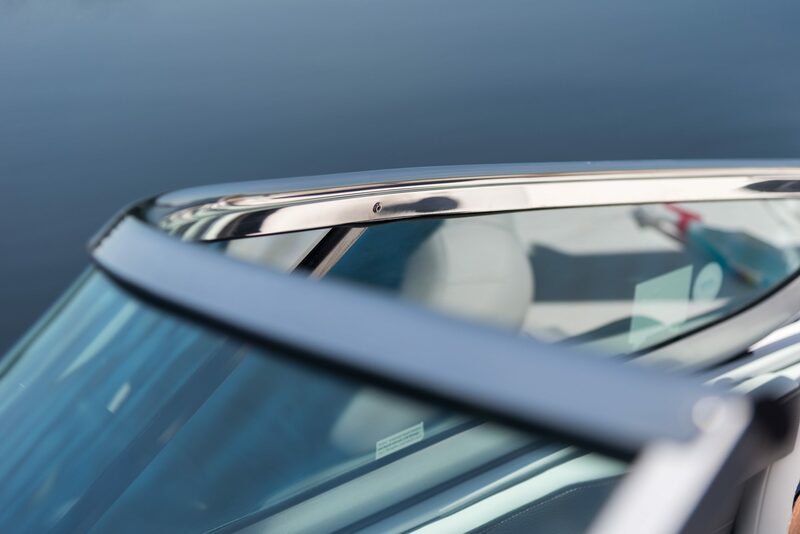 The optional hardtop not only adds style but helps keep you cool thanks to the retractable sunroof and minimizes the need for canvas. 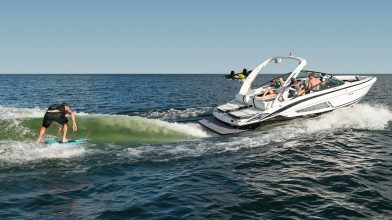 Navigate like a true captain through uncharted territory with the Garmin 7610xsv + B60 Transducer. 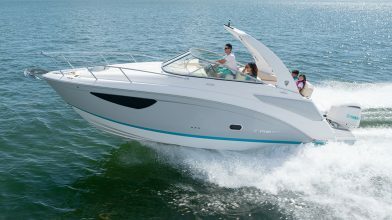 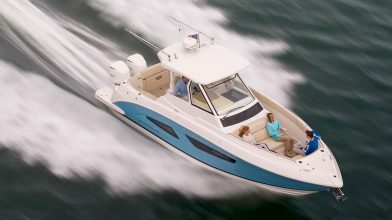 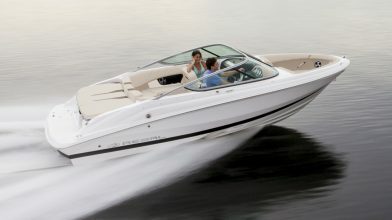 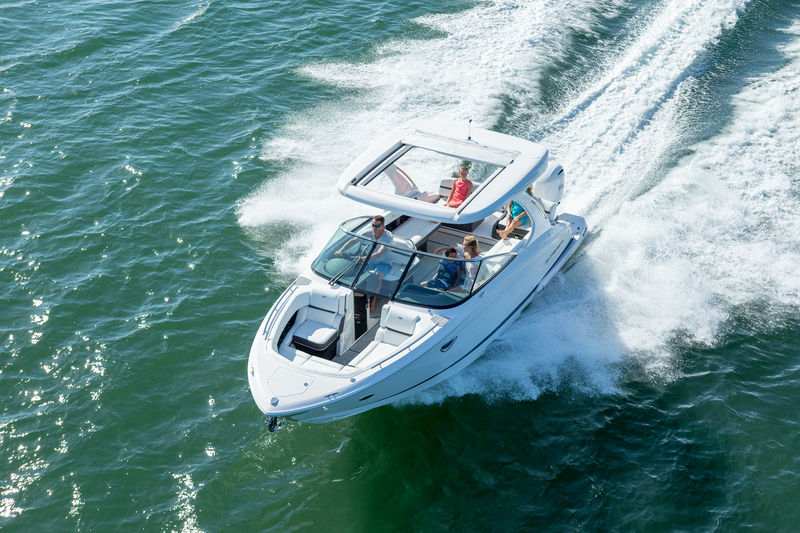 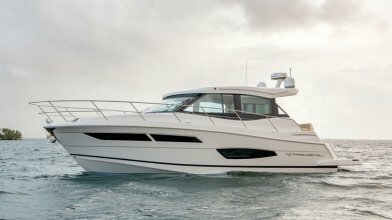 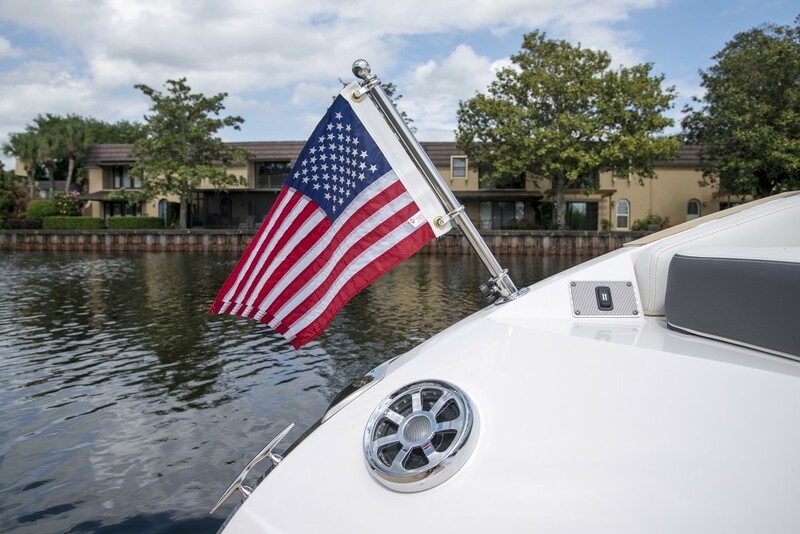 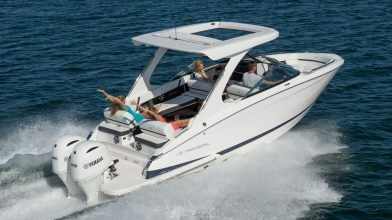 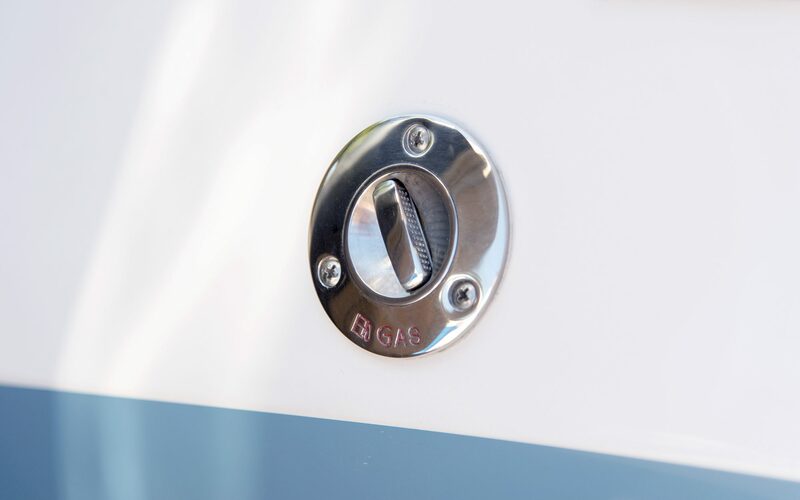 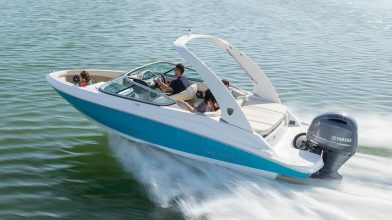 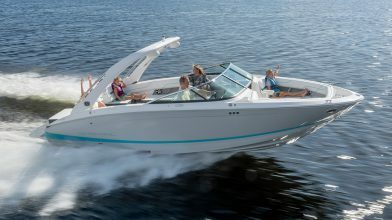 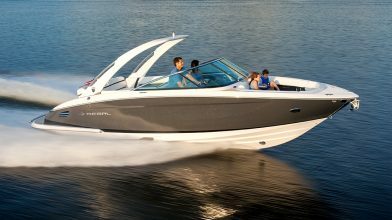 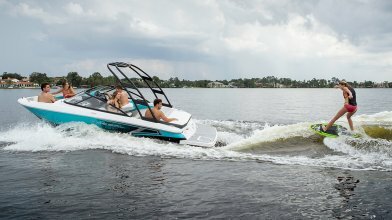 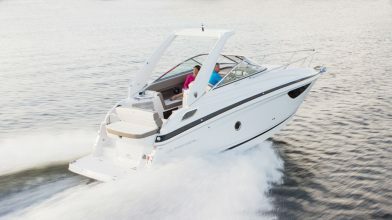 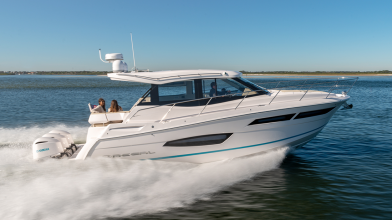 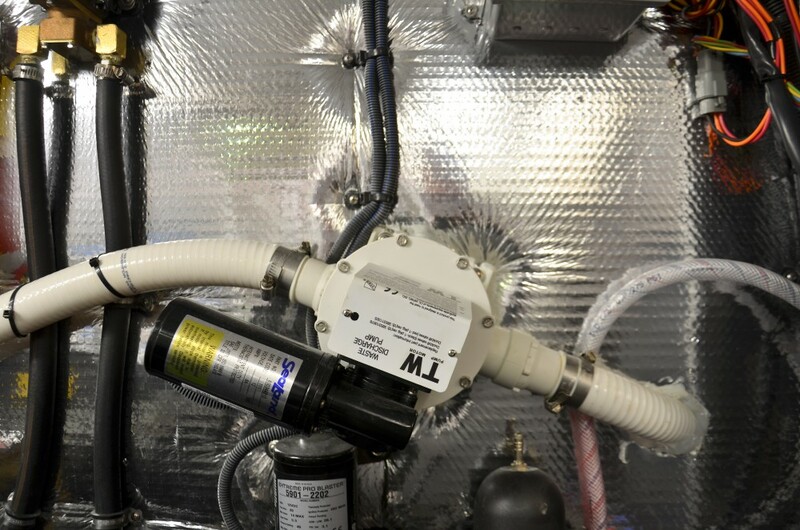 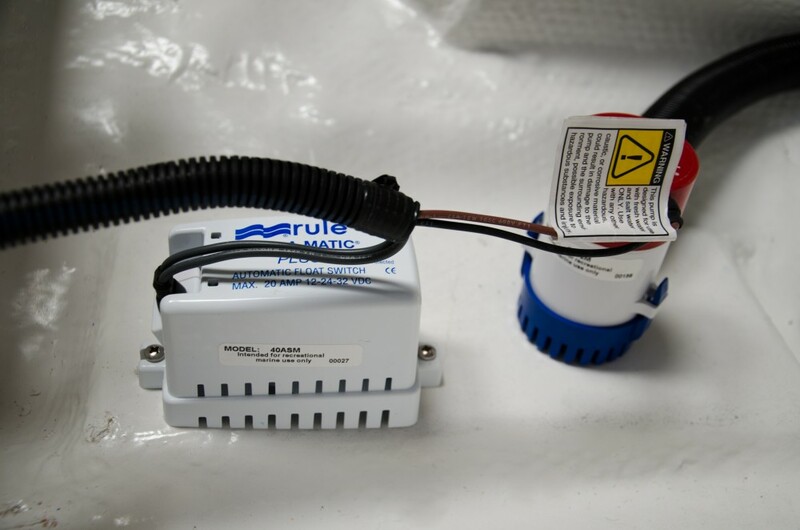 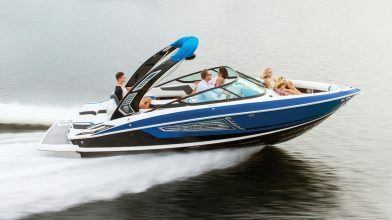 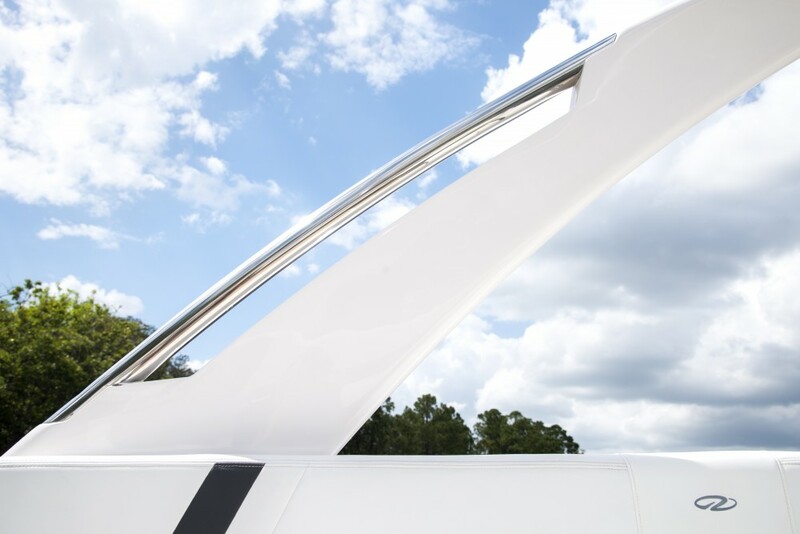 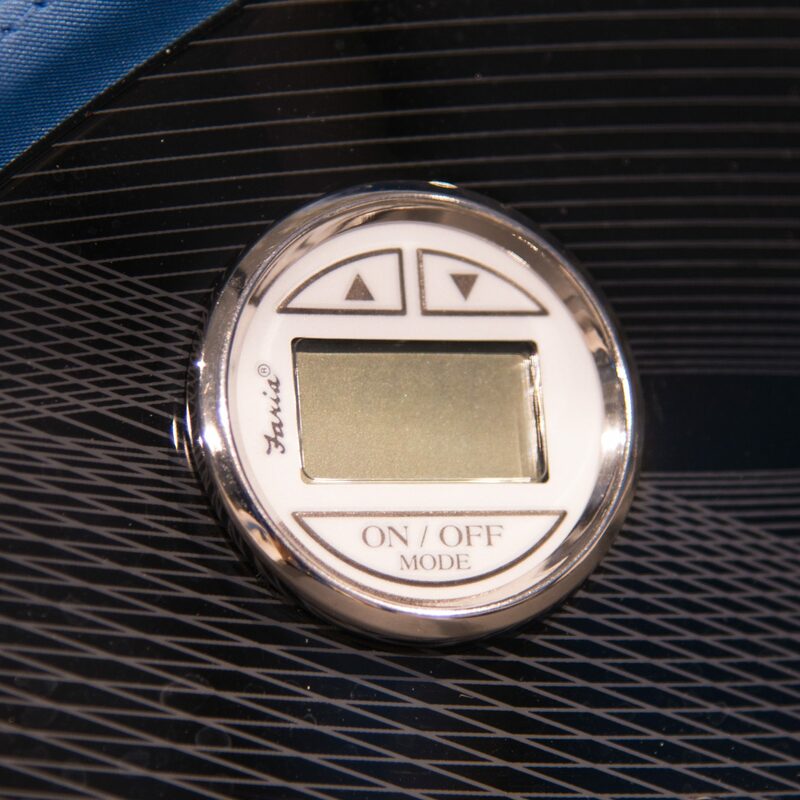 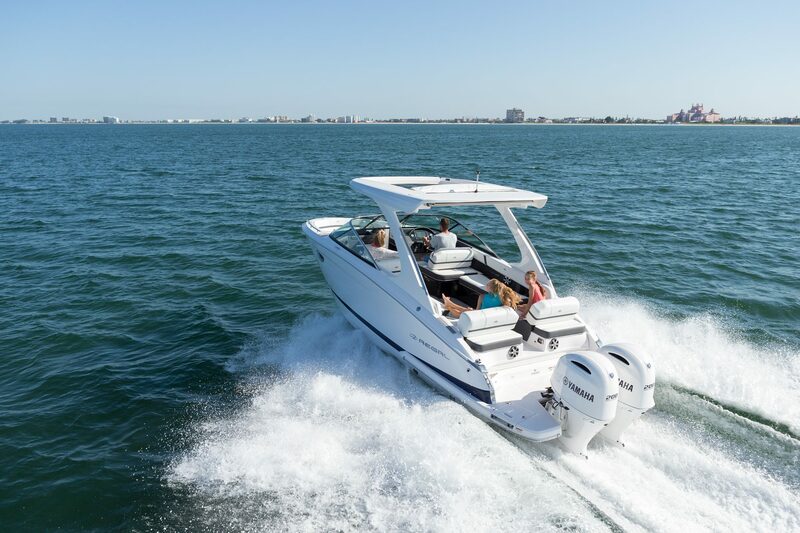 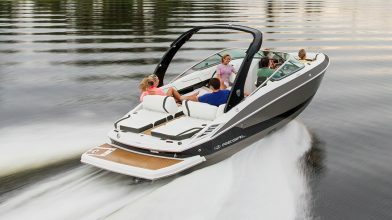 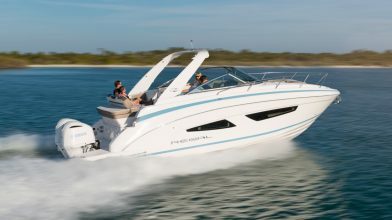 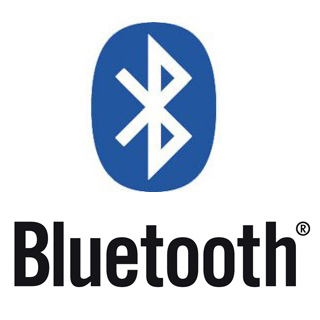 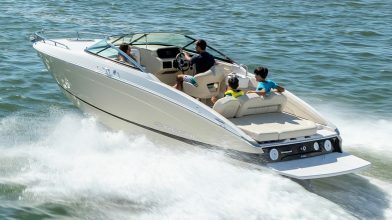 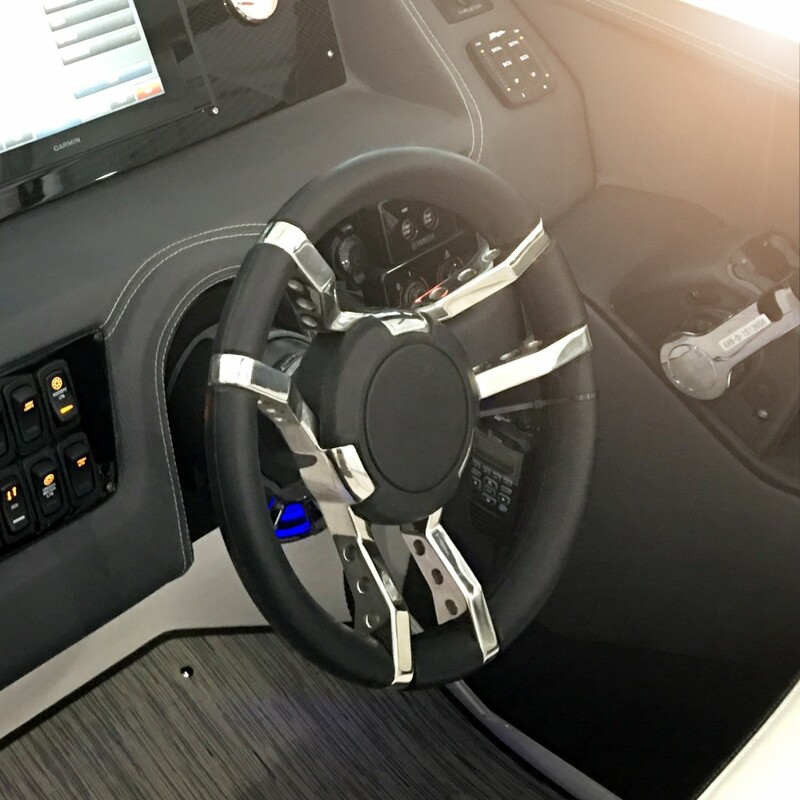 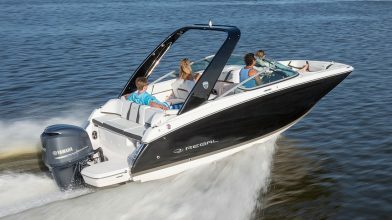 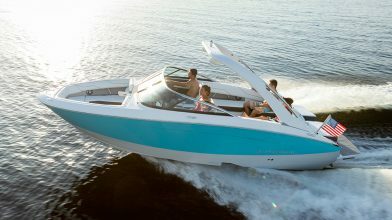 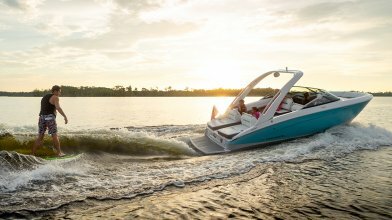 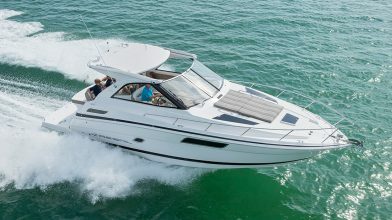 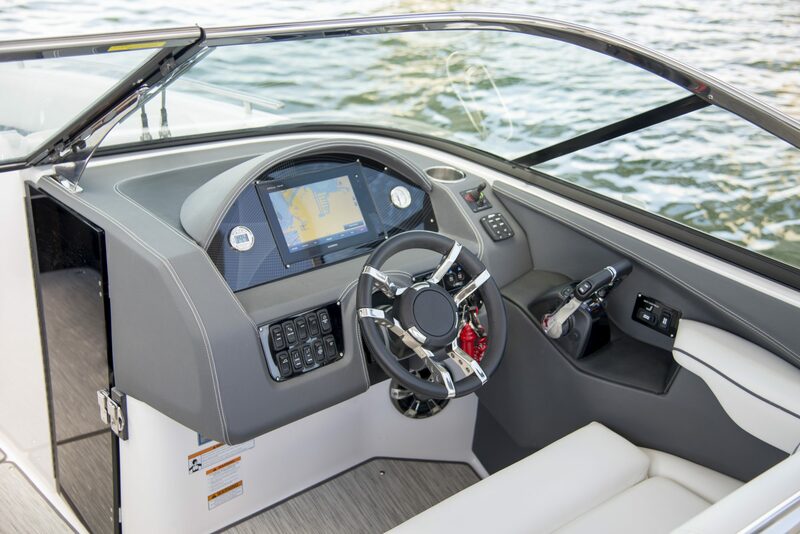 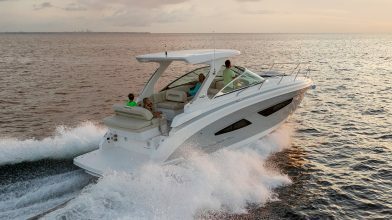 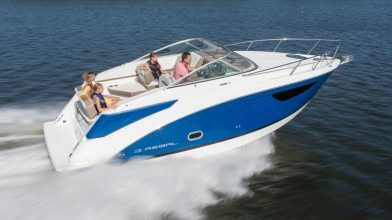 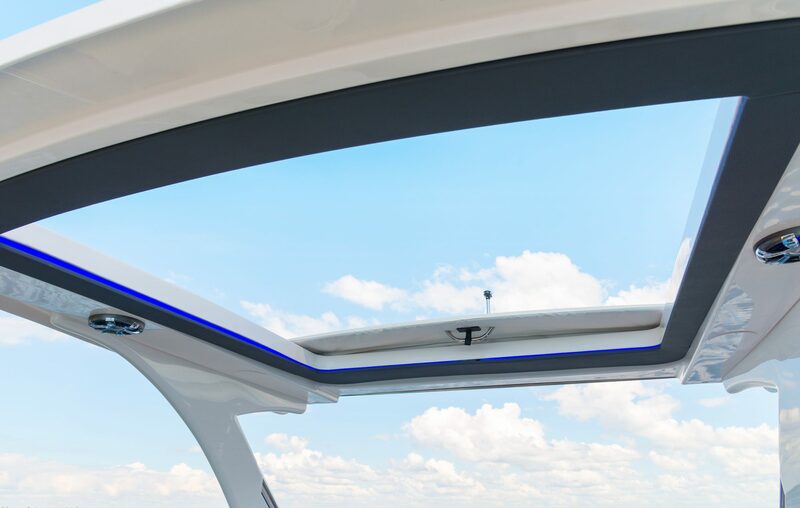 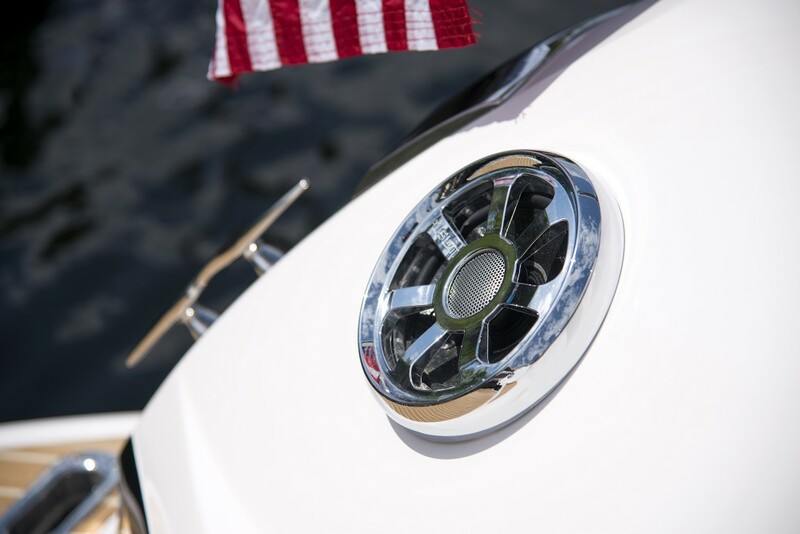 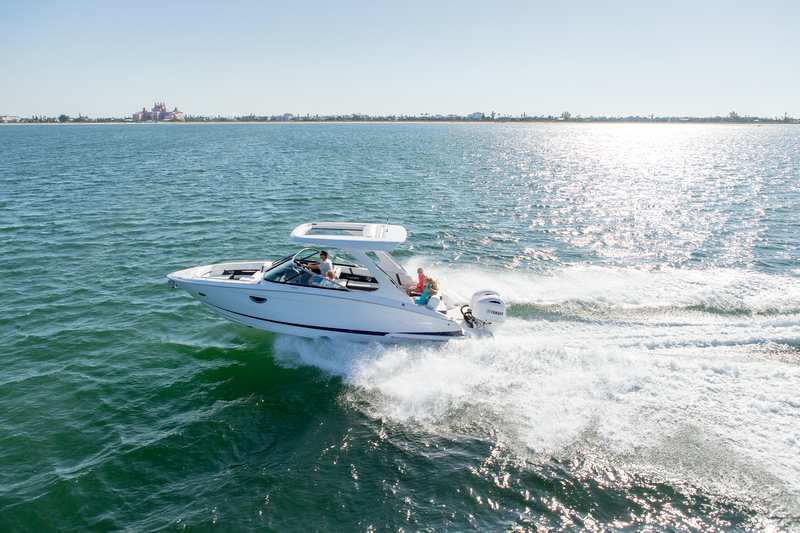 Built for peace of mind when it comes to boating in unfamiliar waters and integration of wifi connectivity for your mobile device. 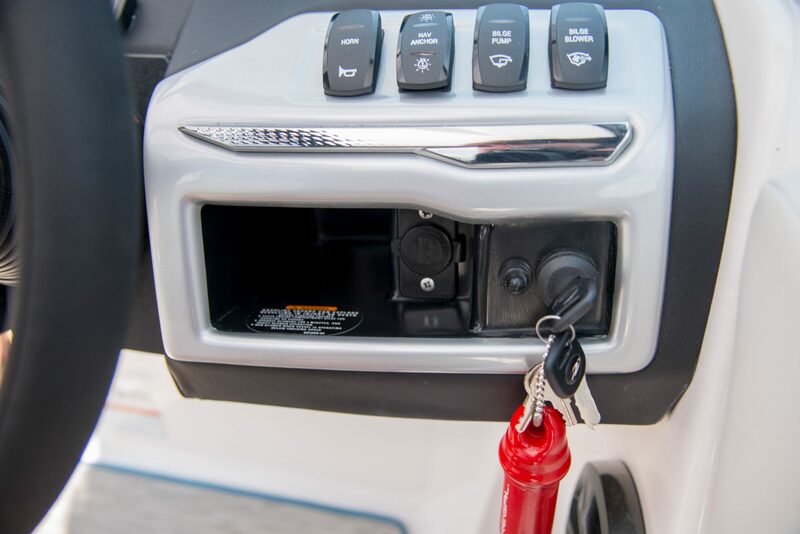 The VHF Radio gives you peace of mind when it comes to having clear communication while out on the water. 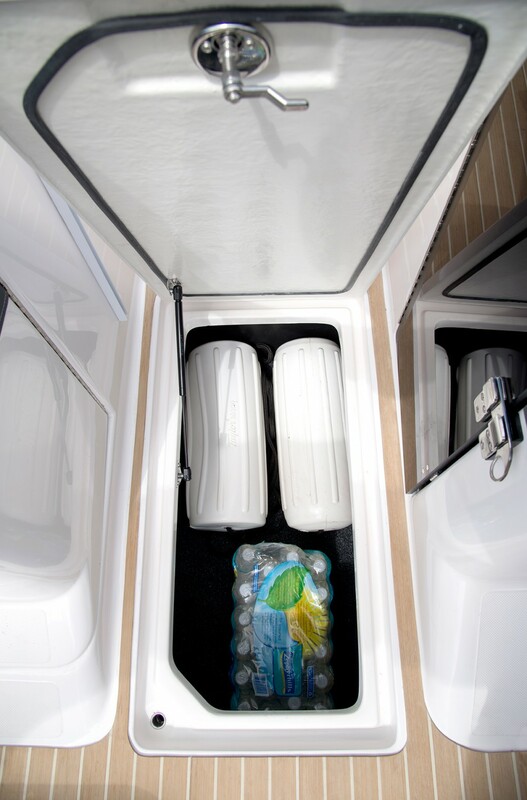 A well-crafted, upscale head with incredible space for privacy and comfort. 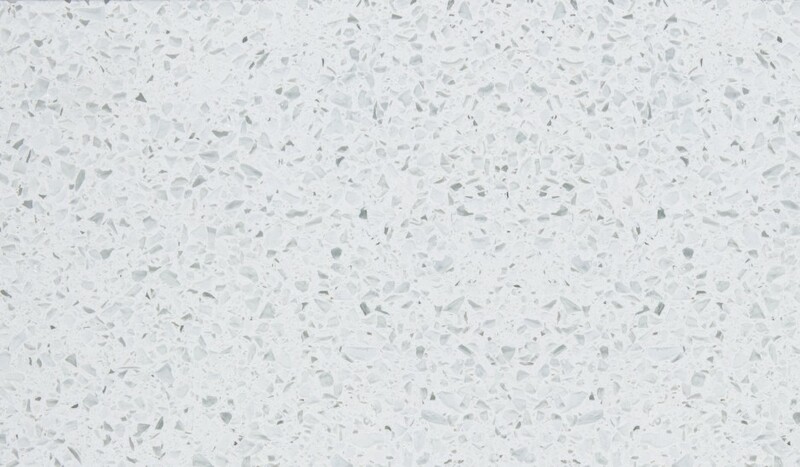 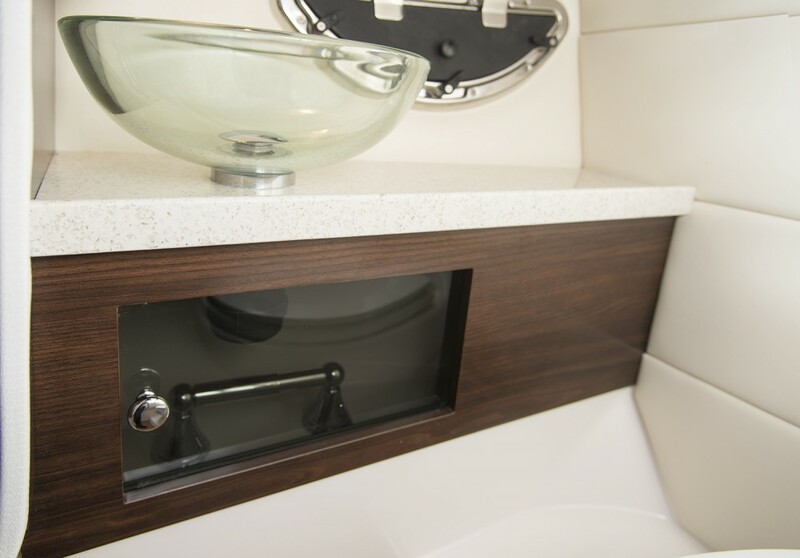 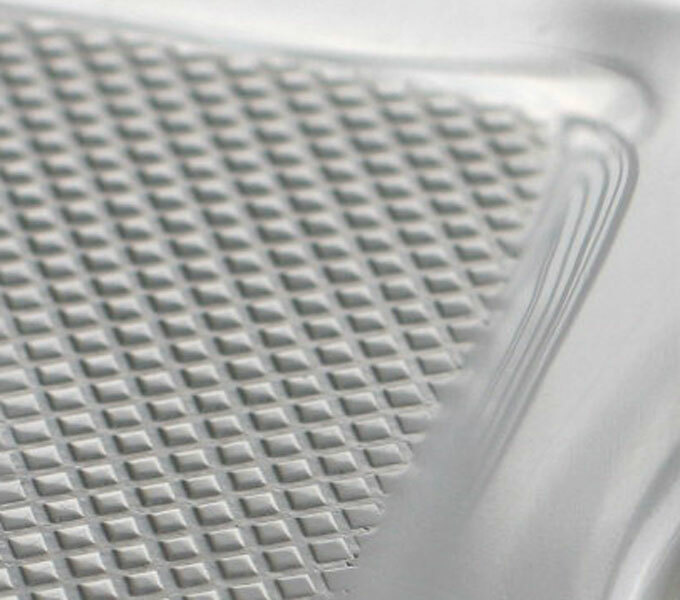 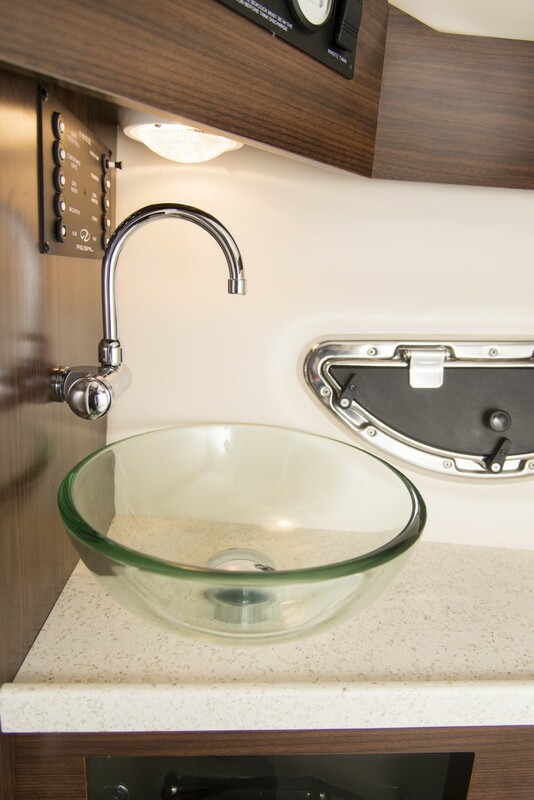 A glass vessel sink is just another example of how Regals feature the latest trends and most stylish designs. 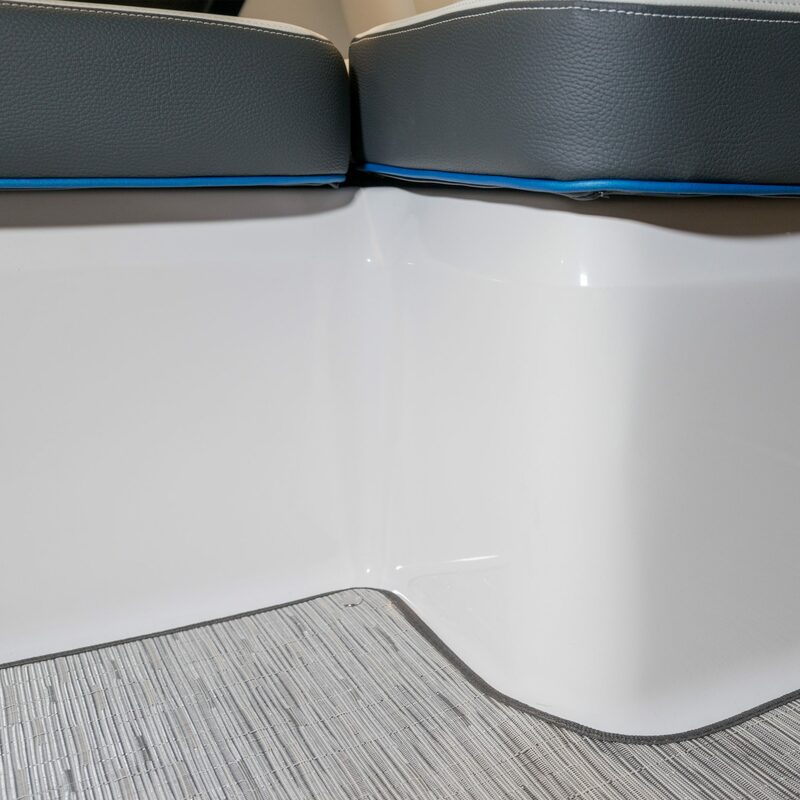 You know you have a something special when there are two double wide seats facing forward in the cockpit. 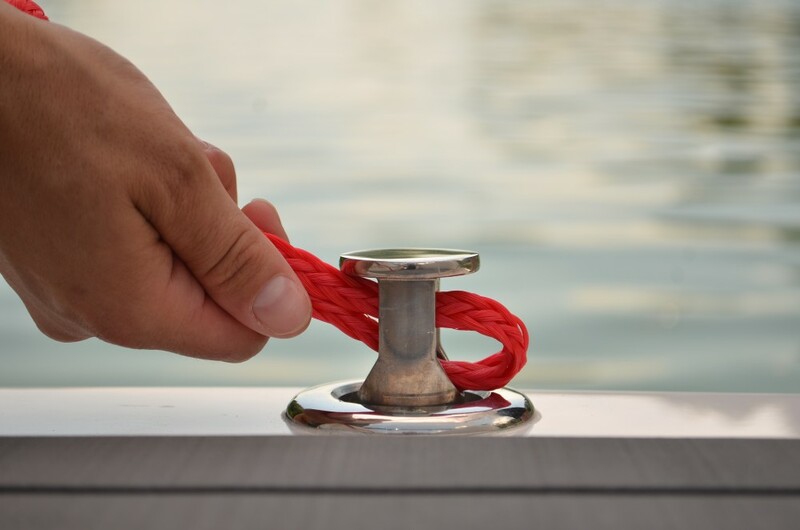 A captain is not worth his salt without his mate by his side. 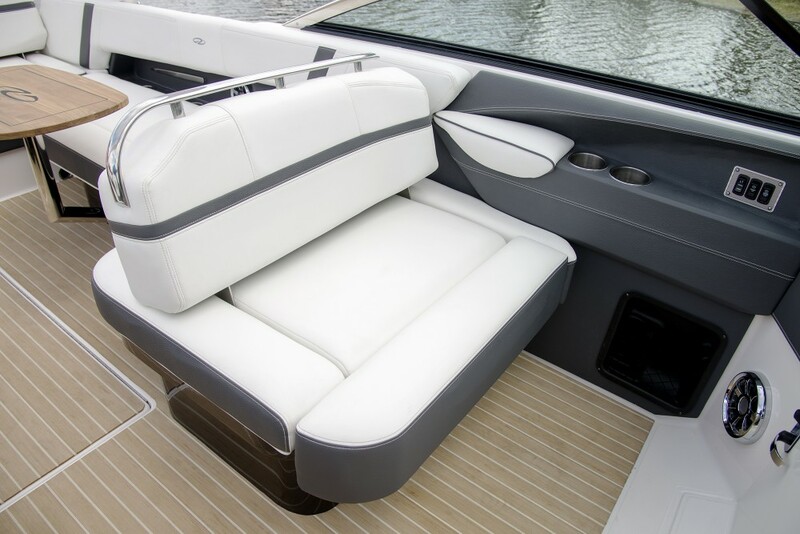 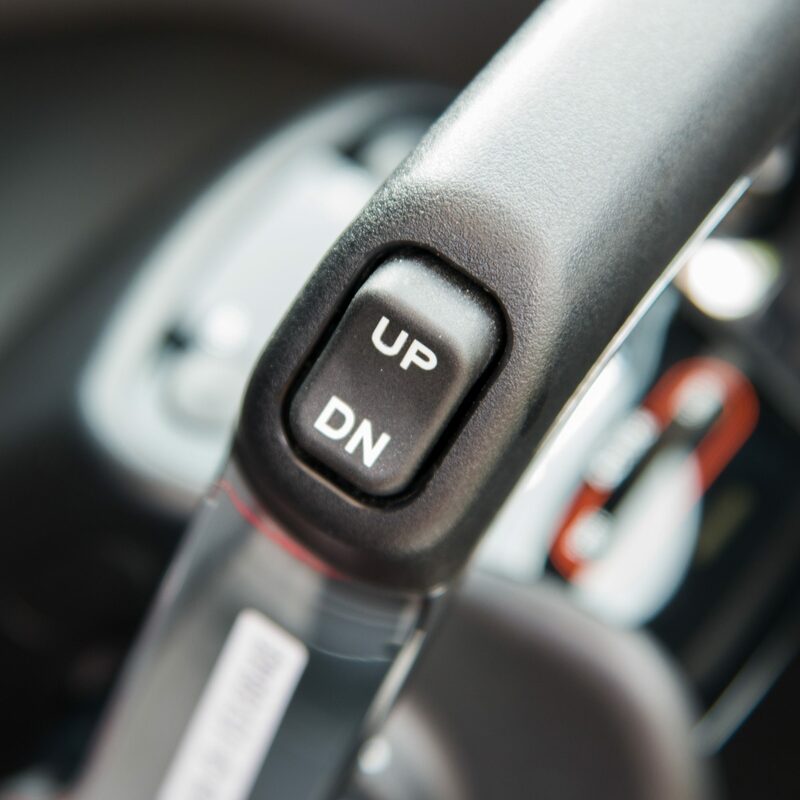 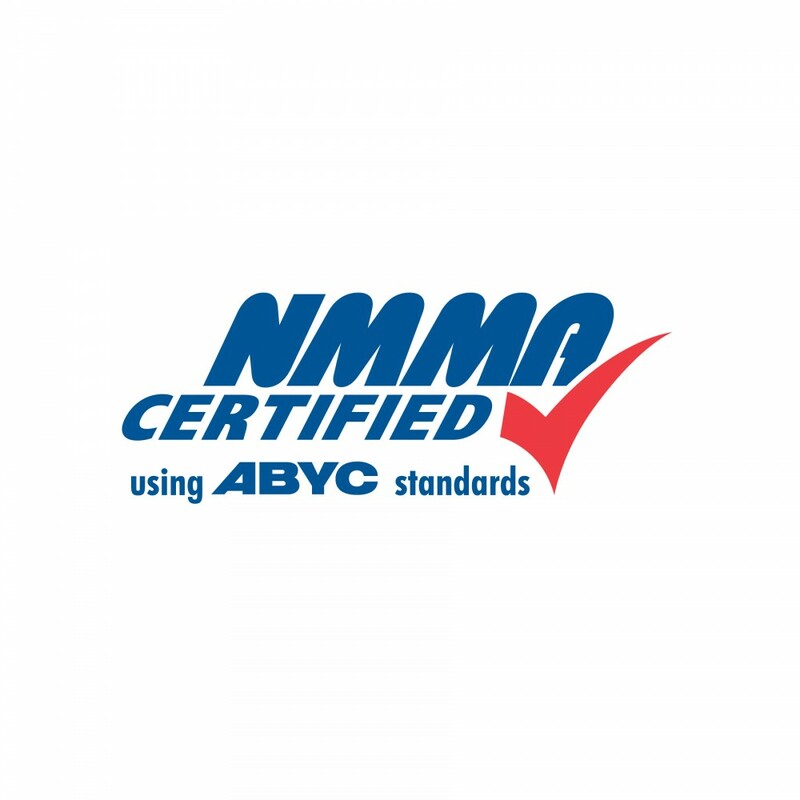 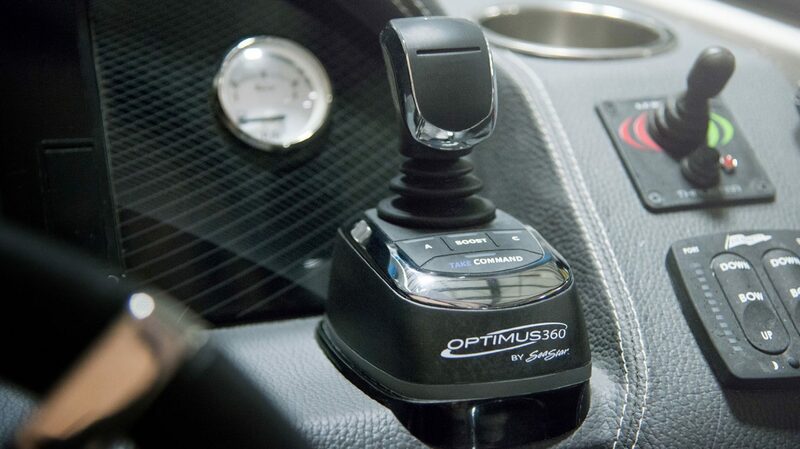 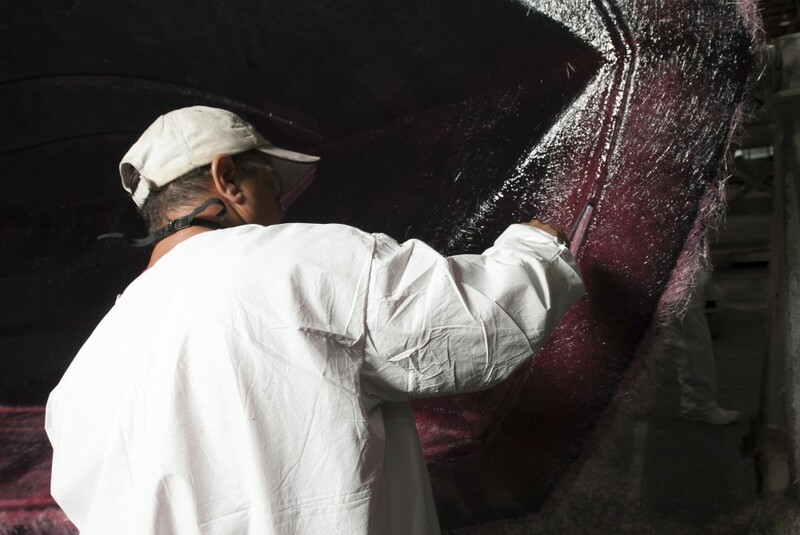 Nor can he or she command without being comfortable, sliding forward and aft electrically. 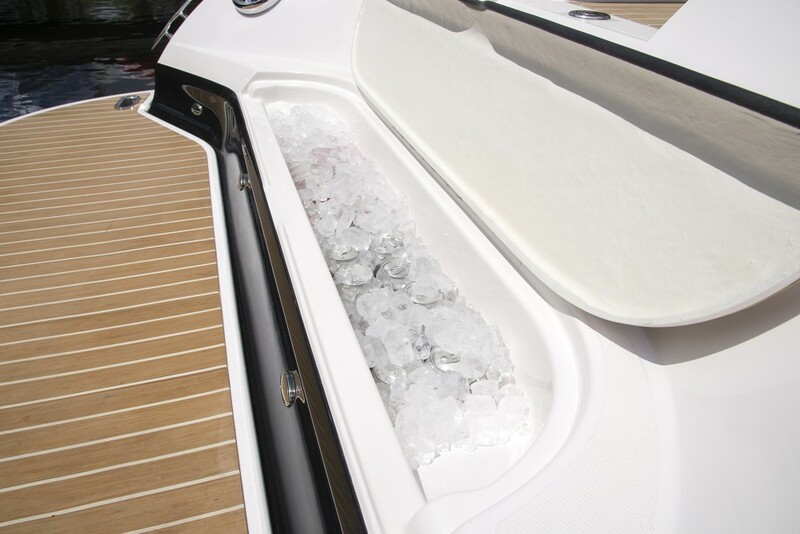 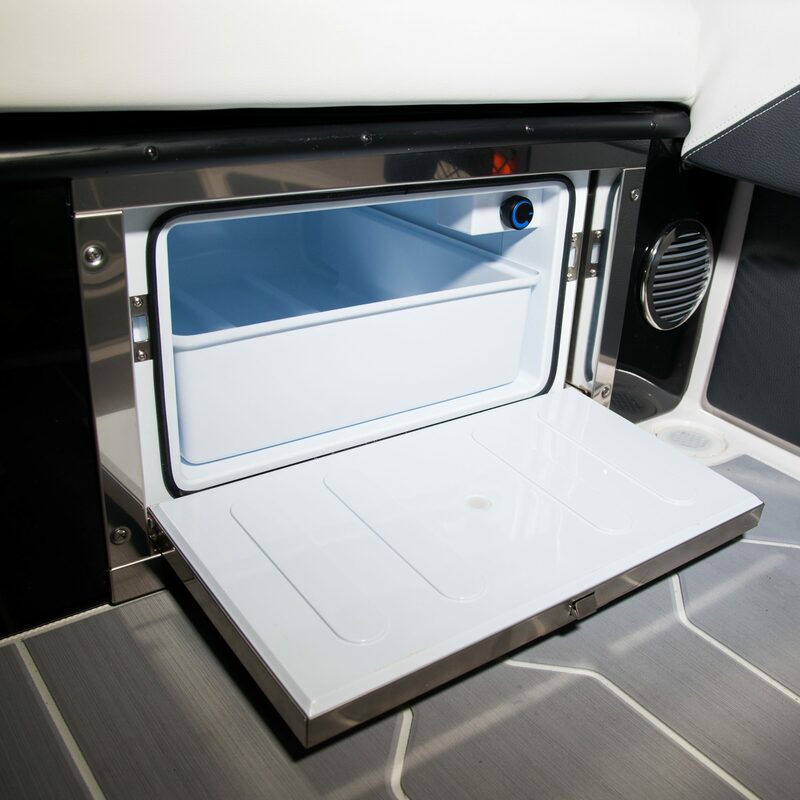 The built-in coolers give you extra room to keep your ever expanding guest list happy. 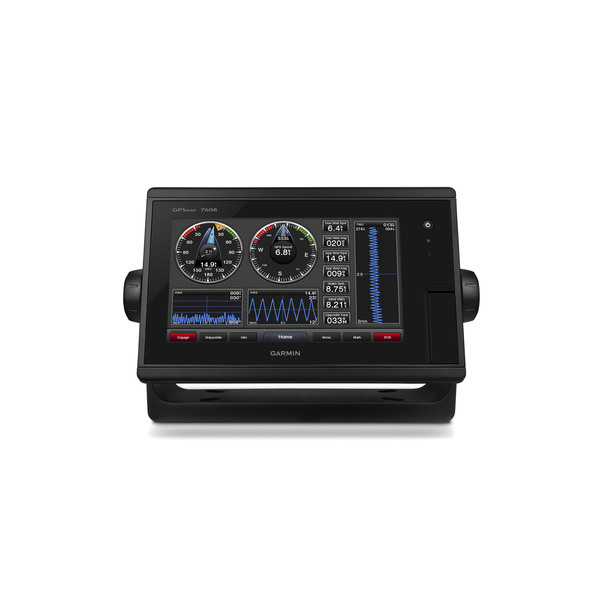 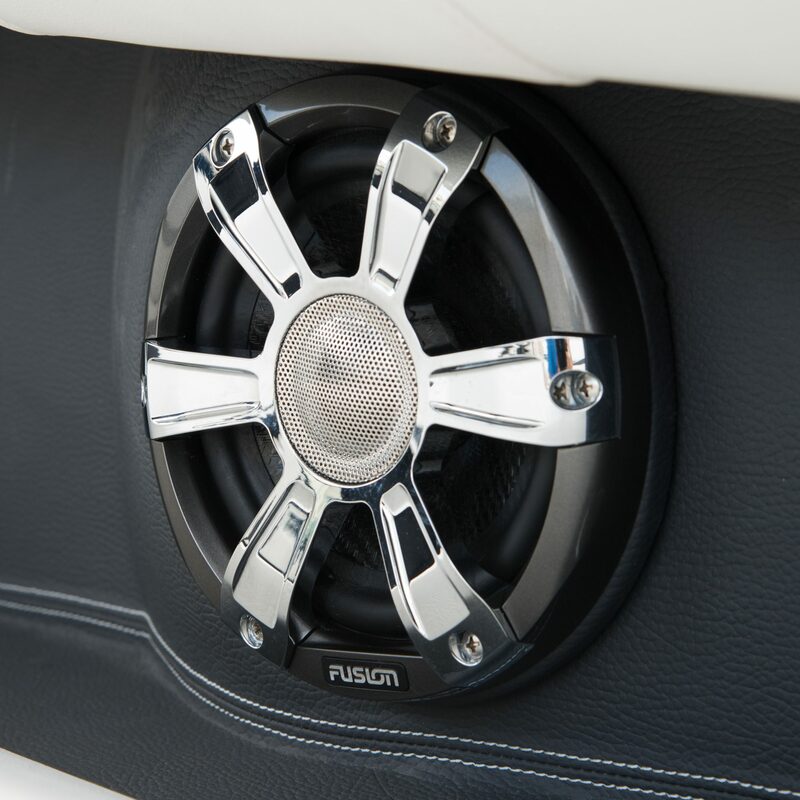 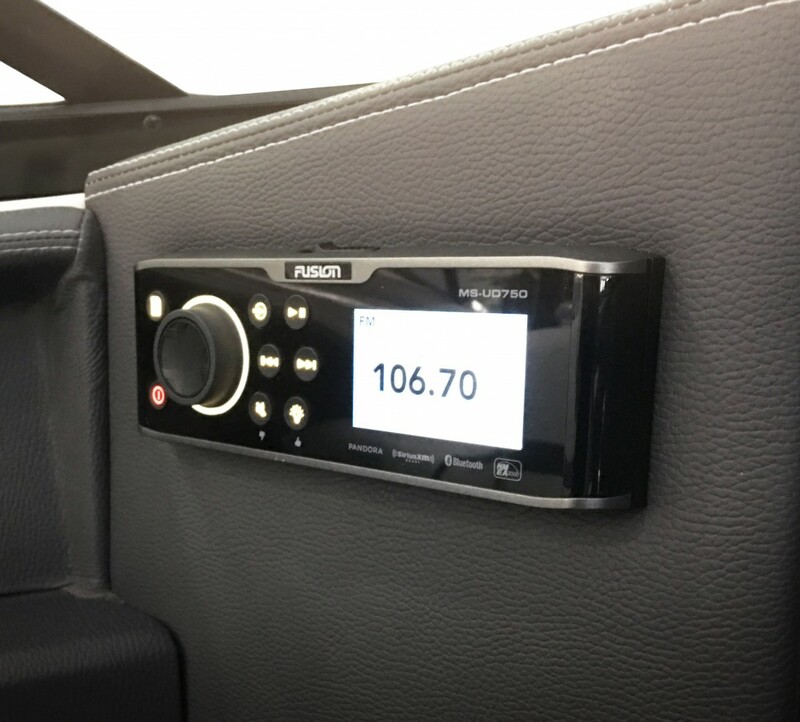 The Fusion radio has full integration for your smart phone, which can be enclosed in a waterproof uni-dock, and has AM/FM radio. 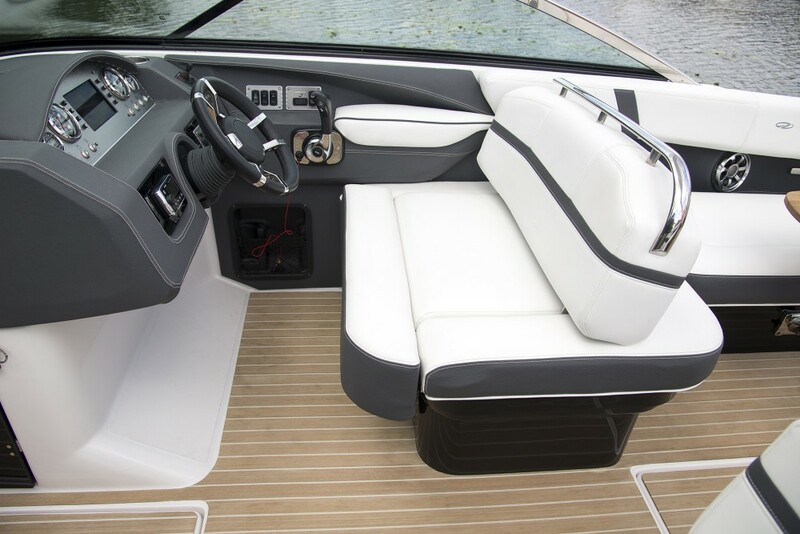 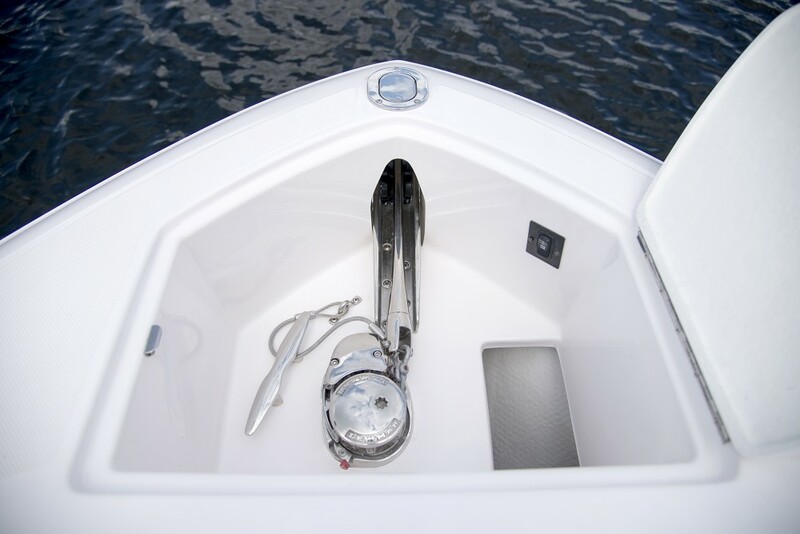 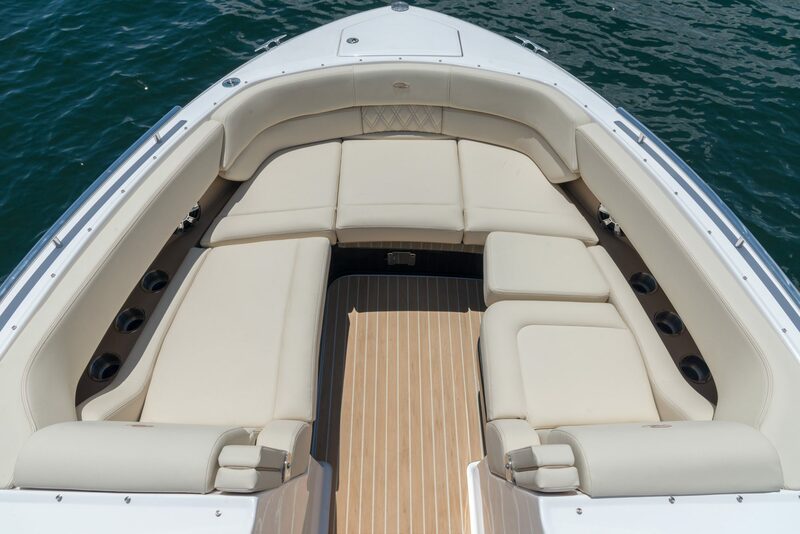 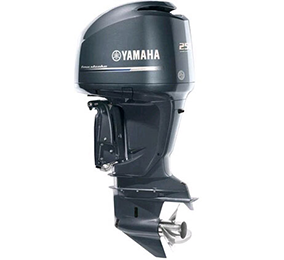 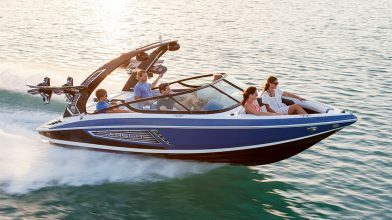 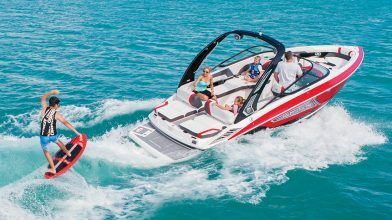 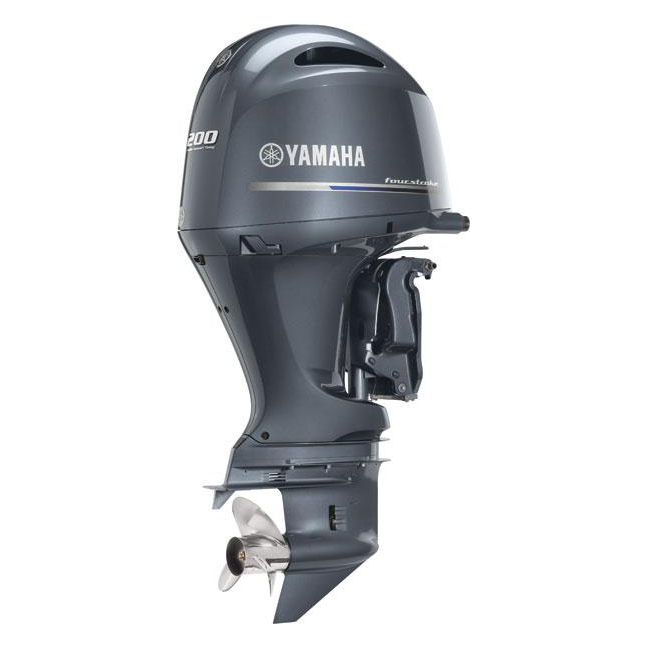 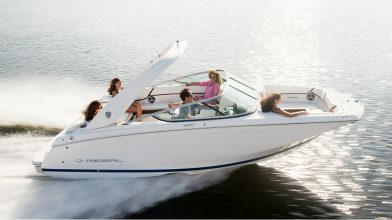 Ample space and comfortable seating for everyone make this outboard the perfect size for your day boat adventure. 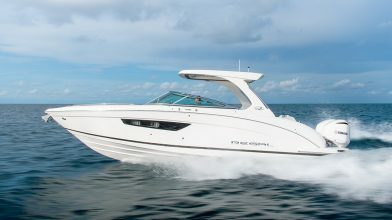 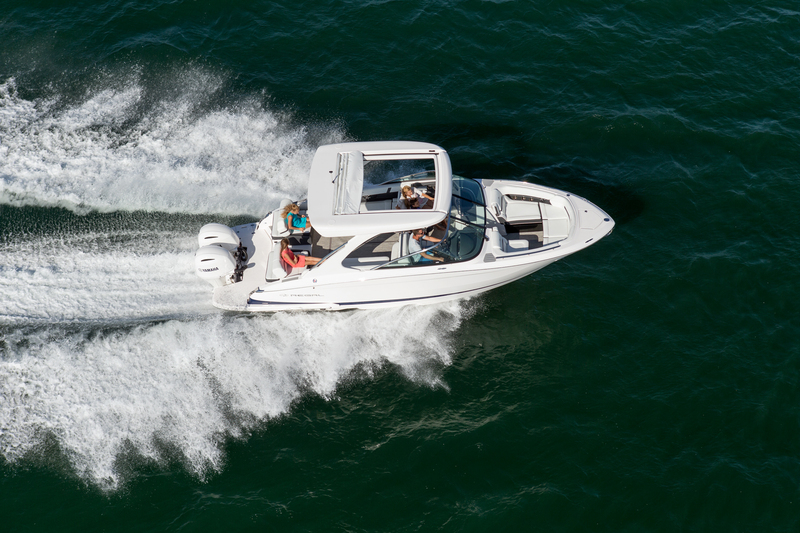 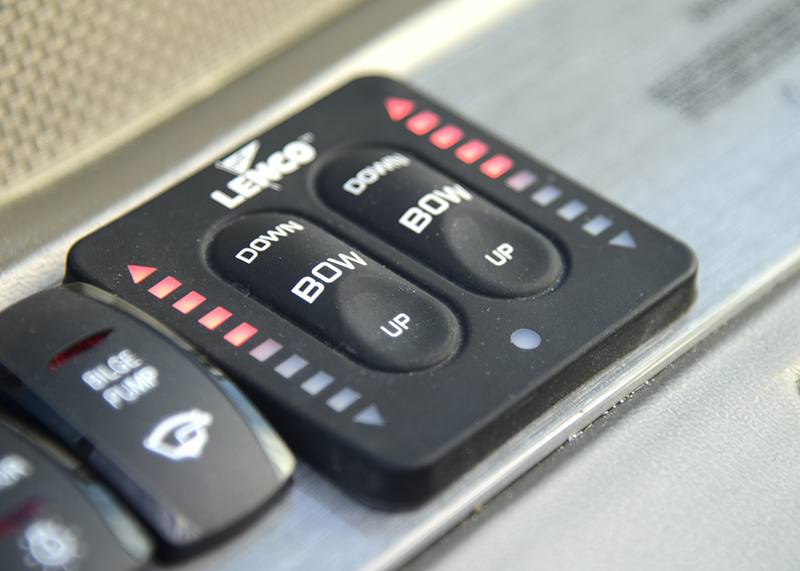 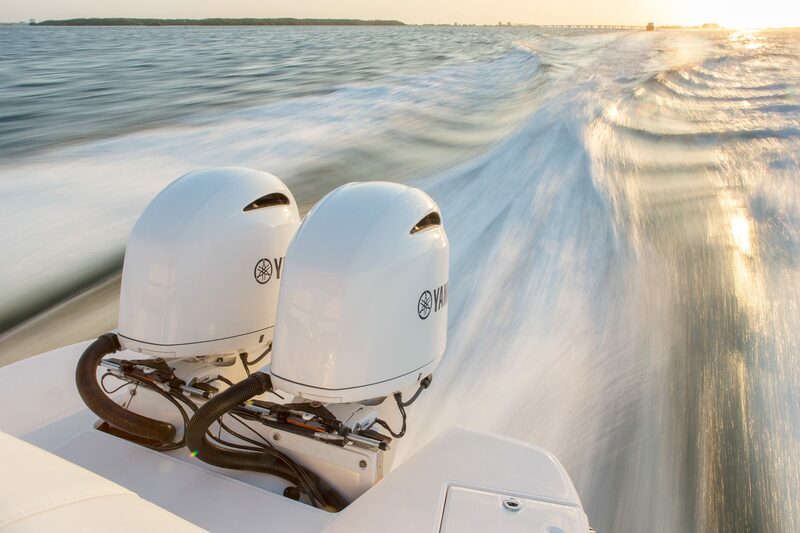 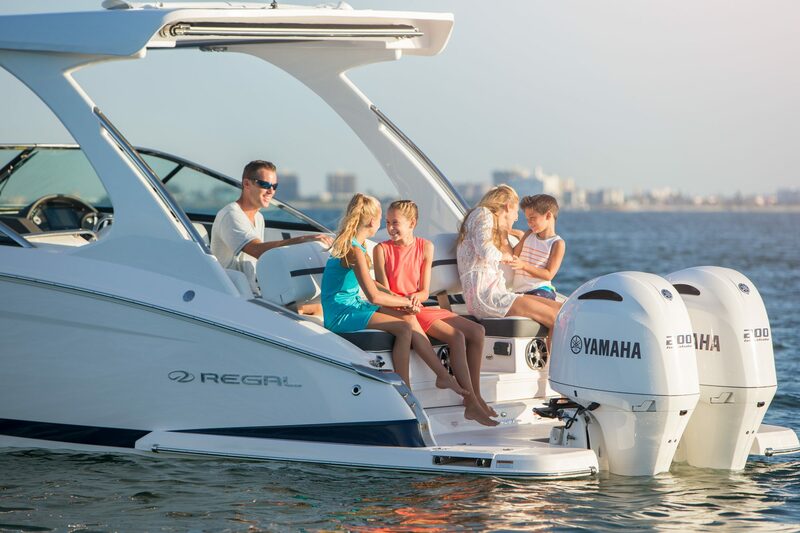 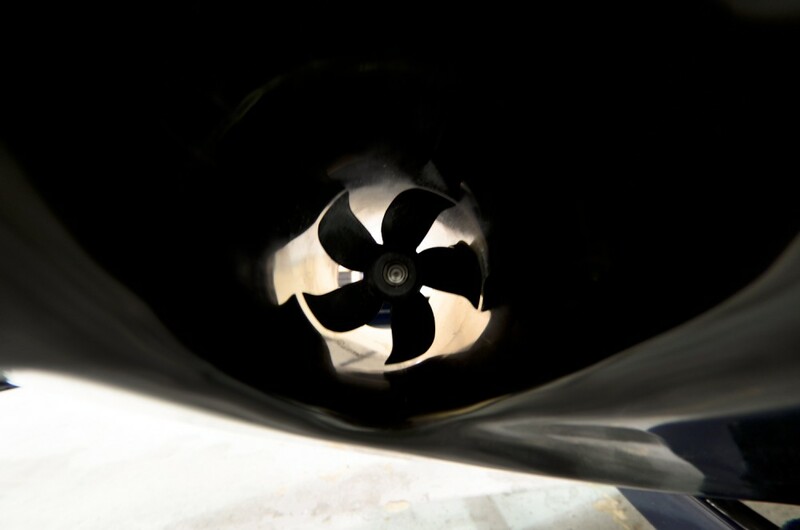 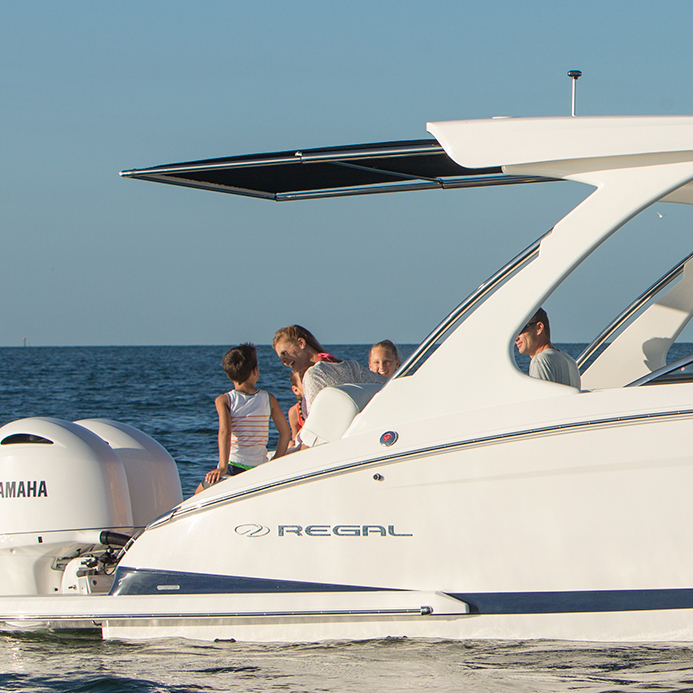 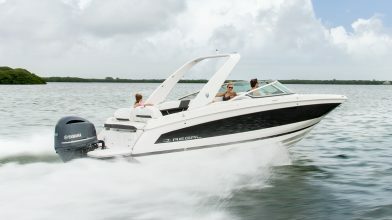 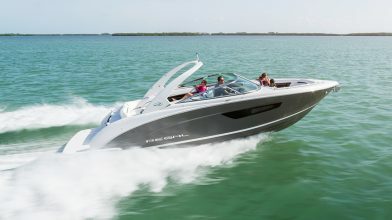 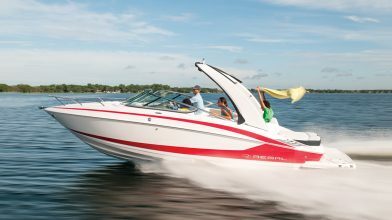 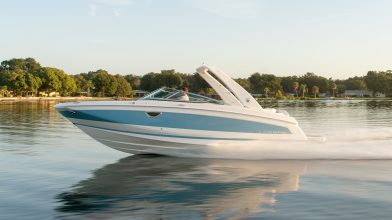 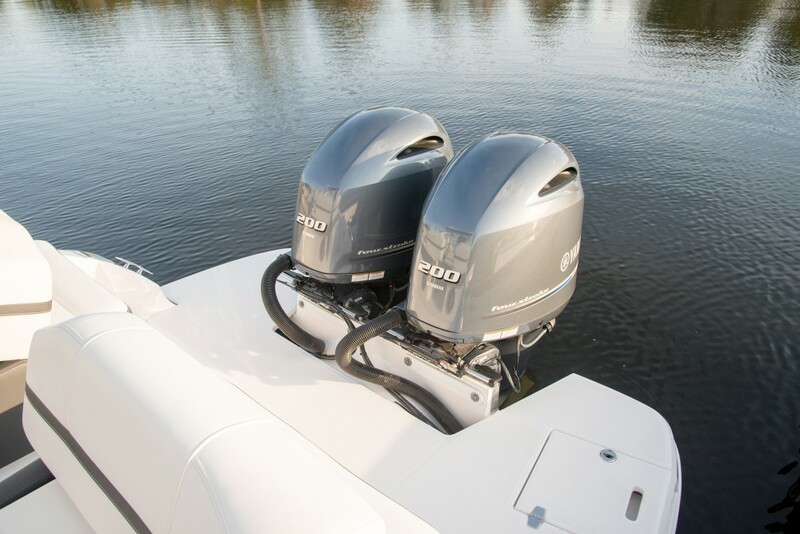 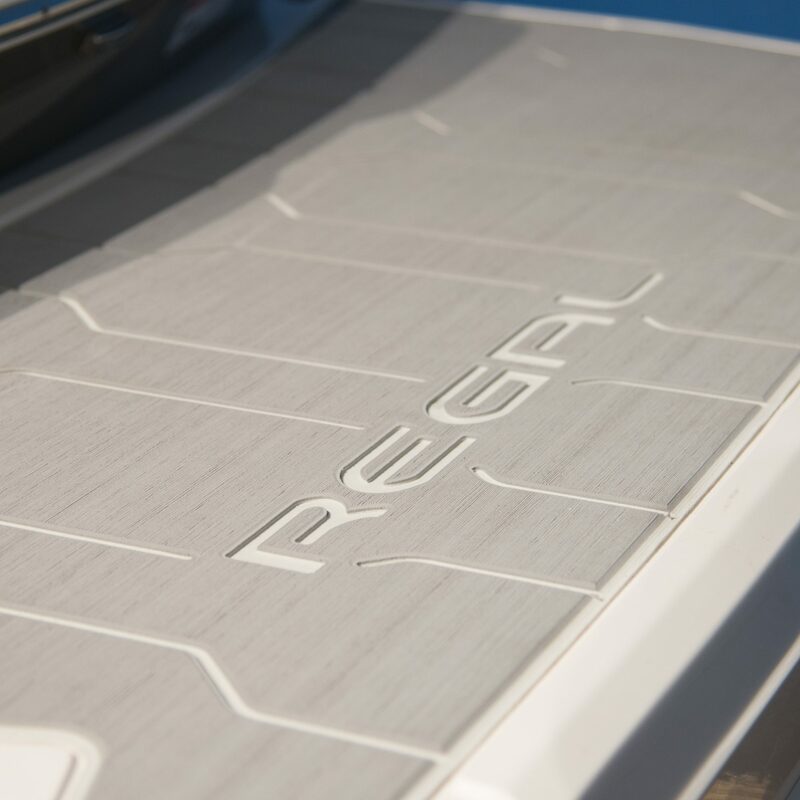 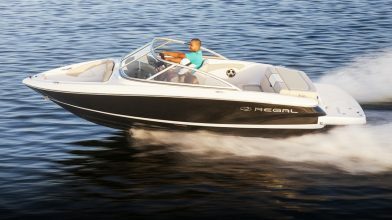 The largest outboard in the Regal fleet, the 33 OBX delivers both power and luxury that is unmatched in the industry.